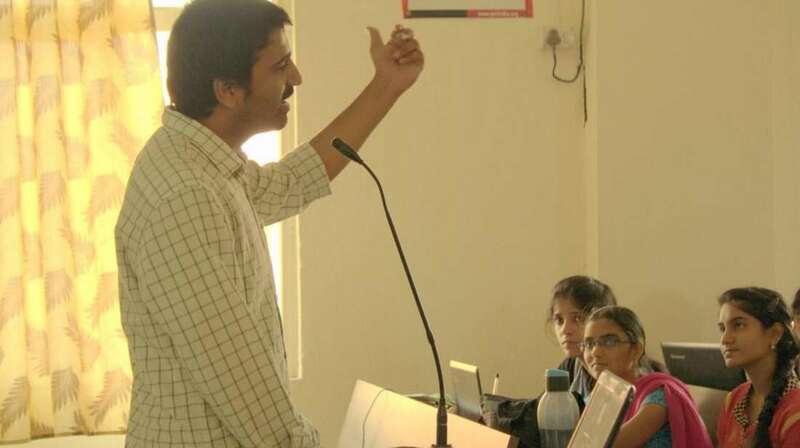 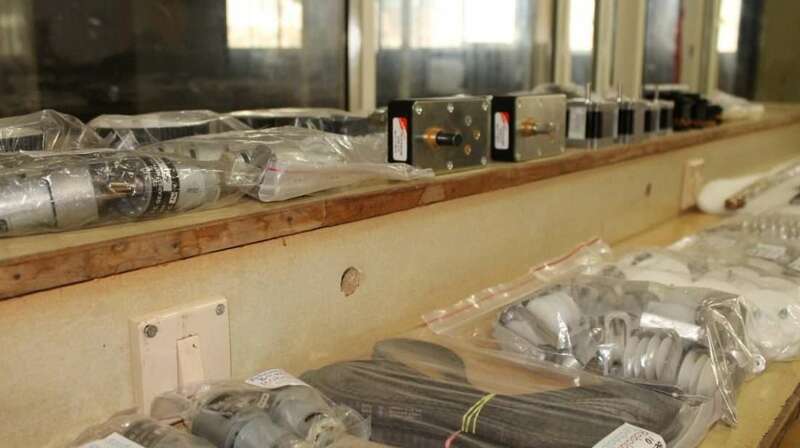 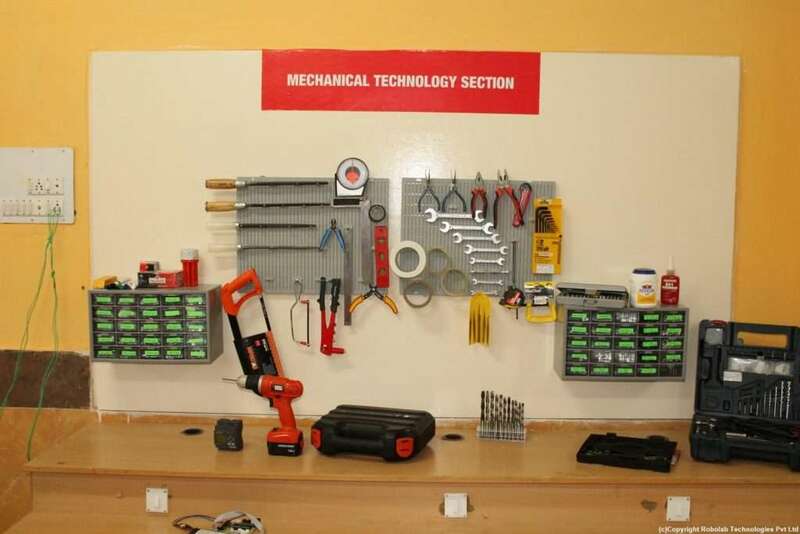 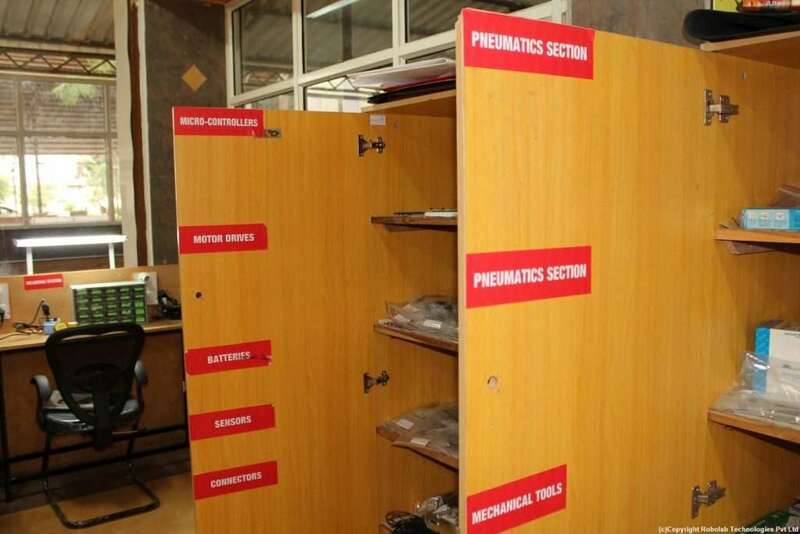 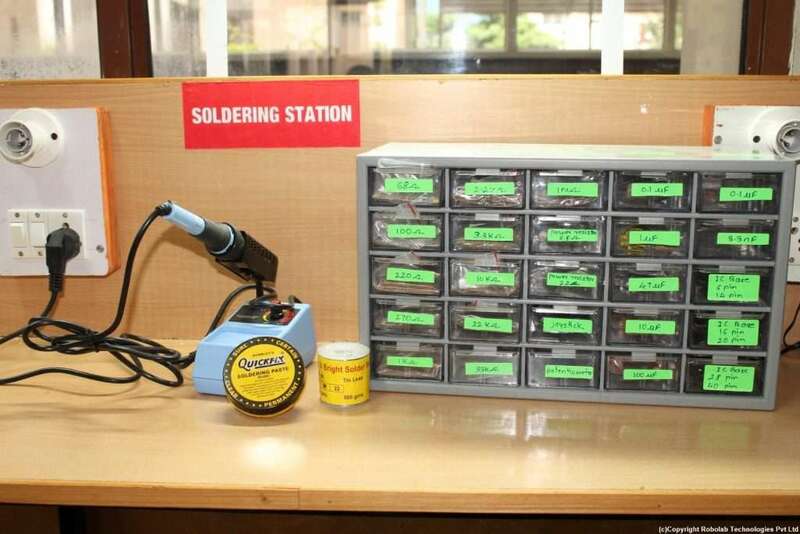 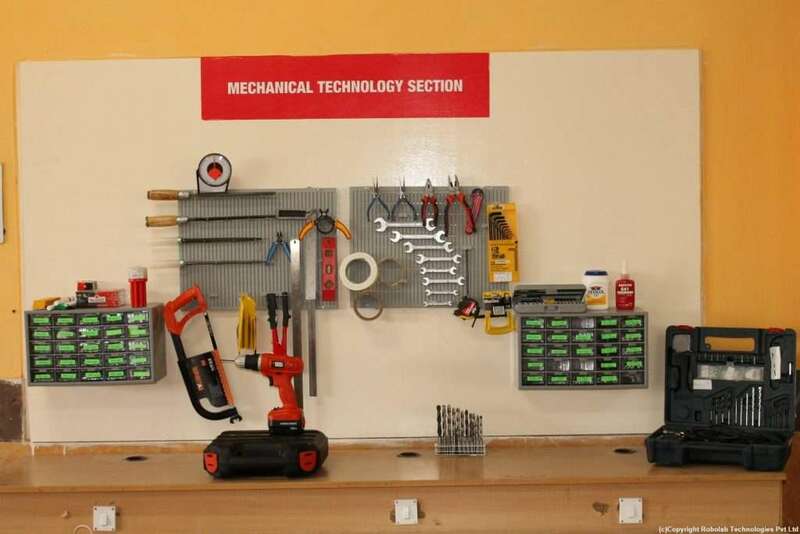 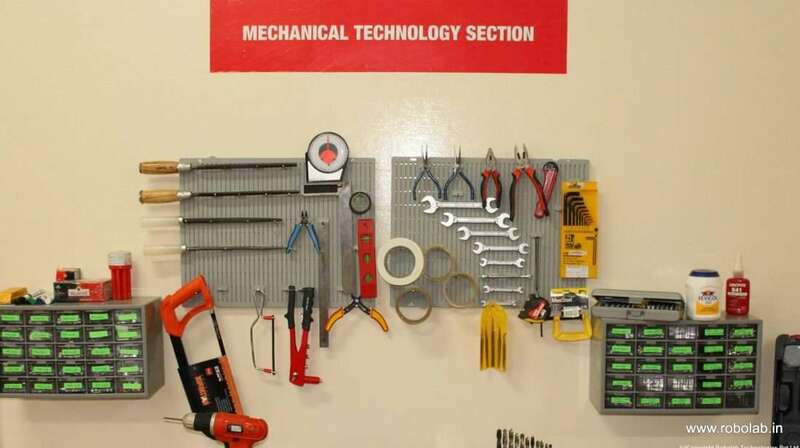 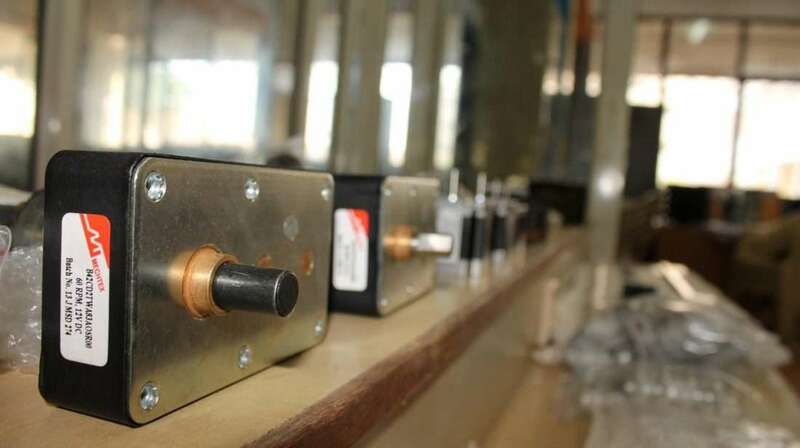 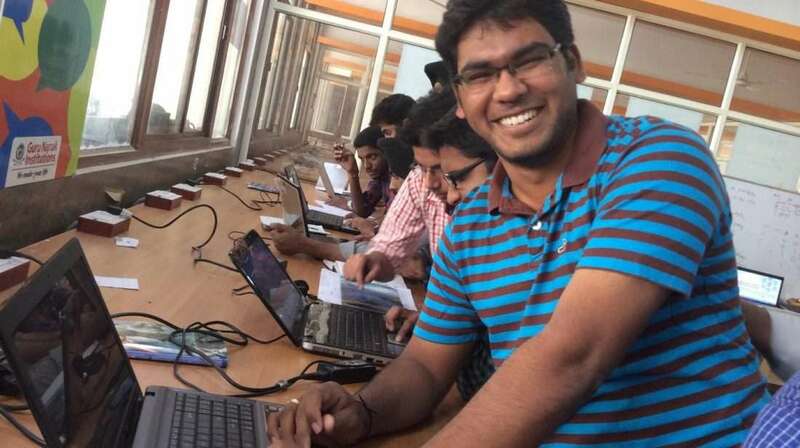 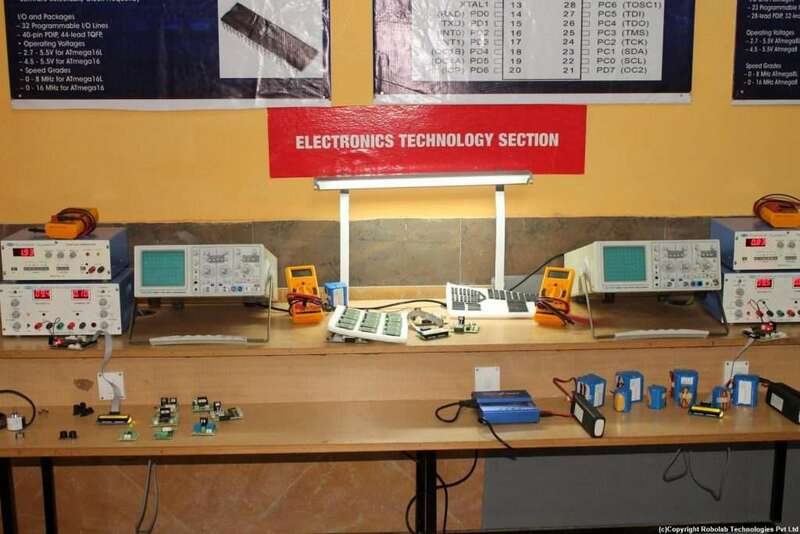 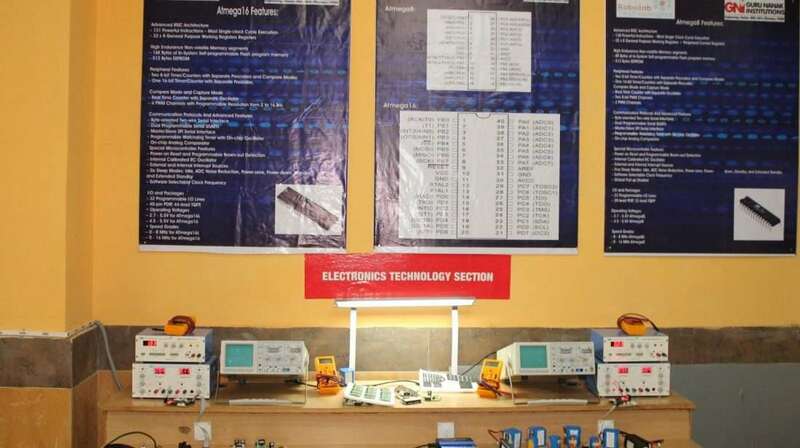 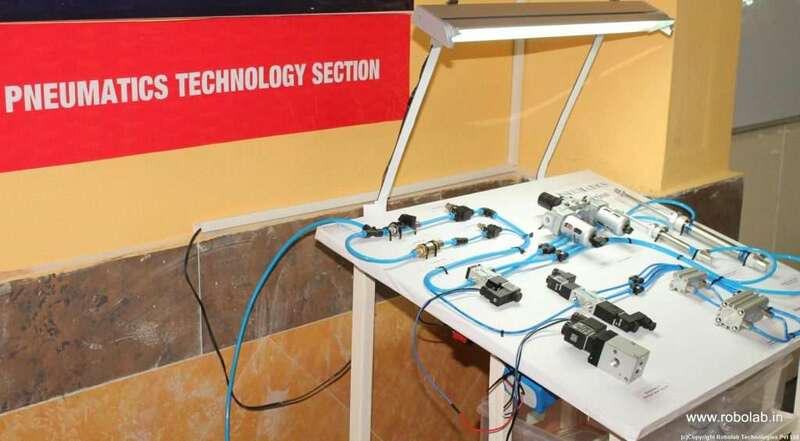 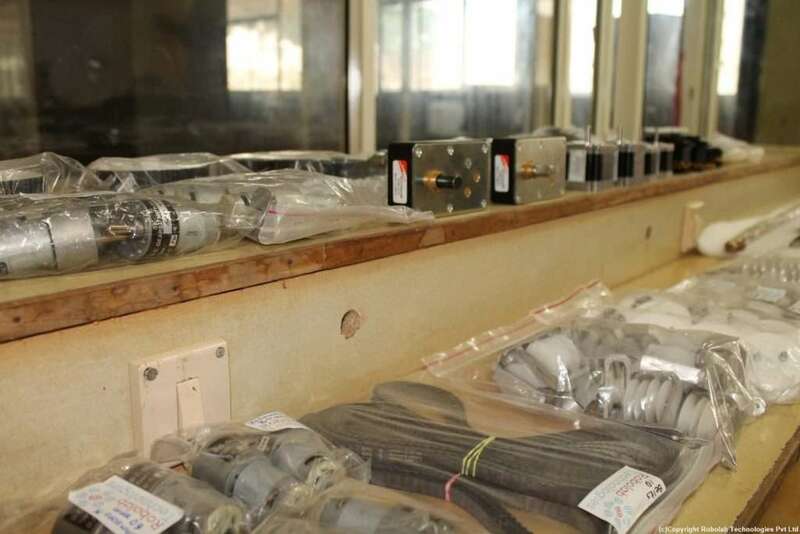 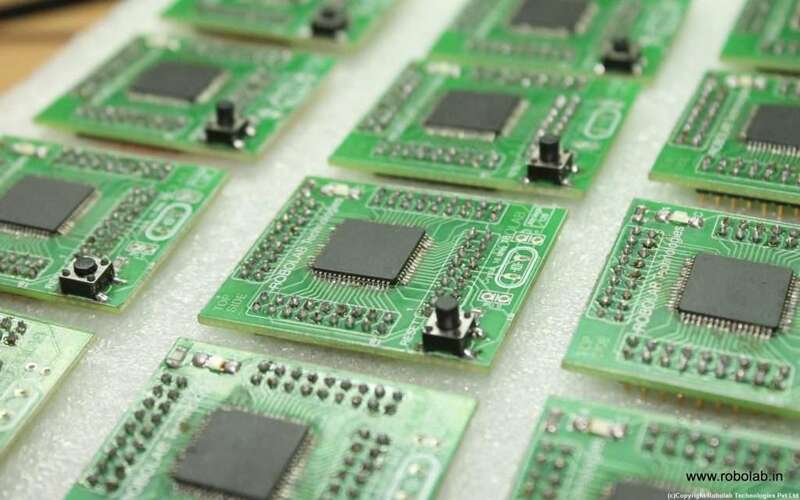 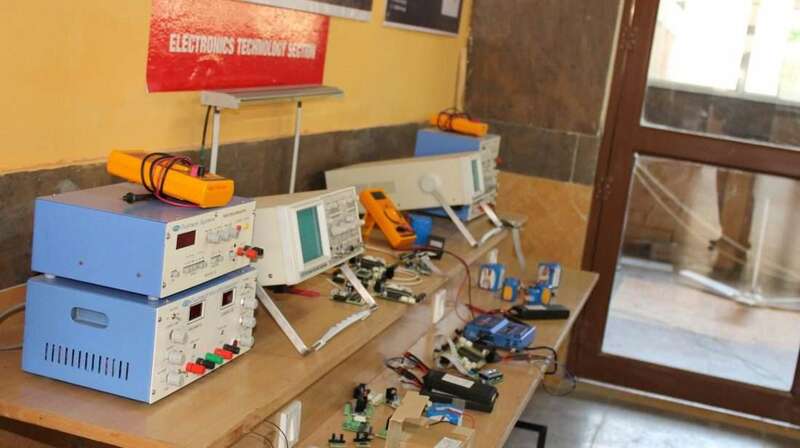 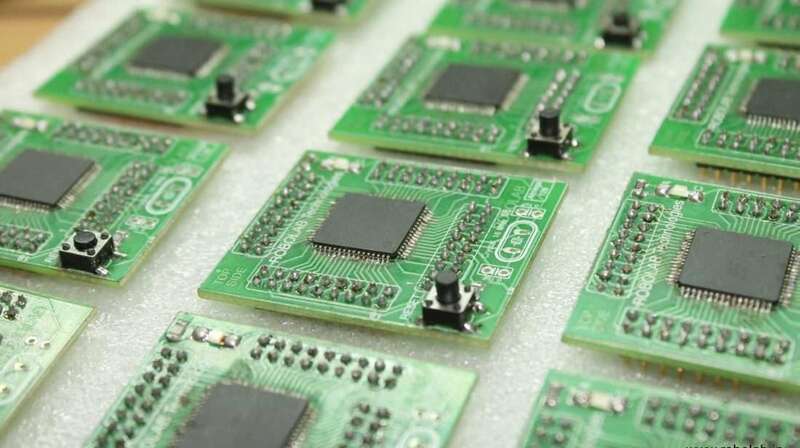 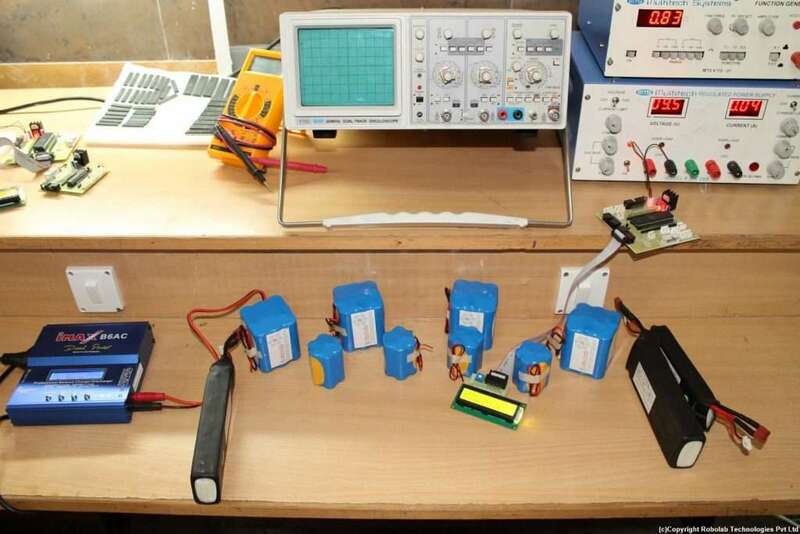 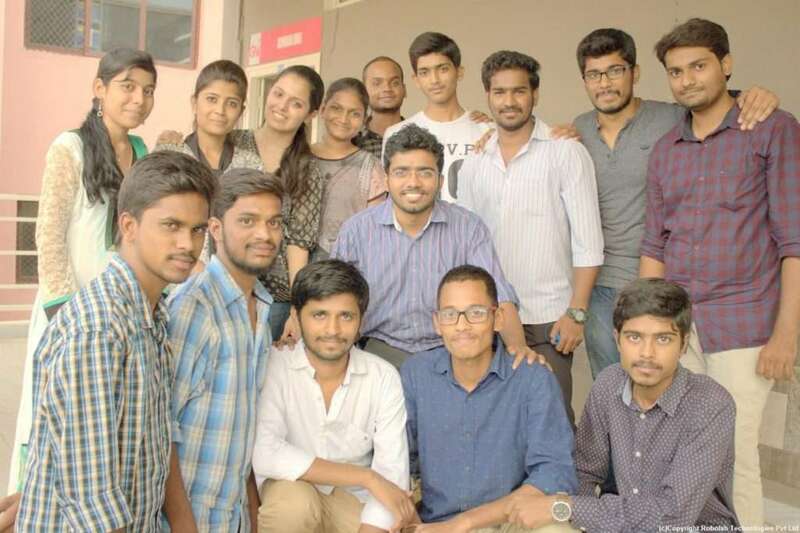 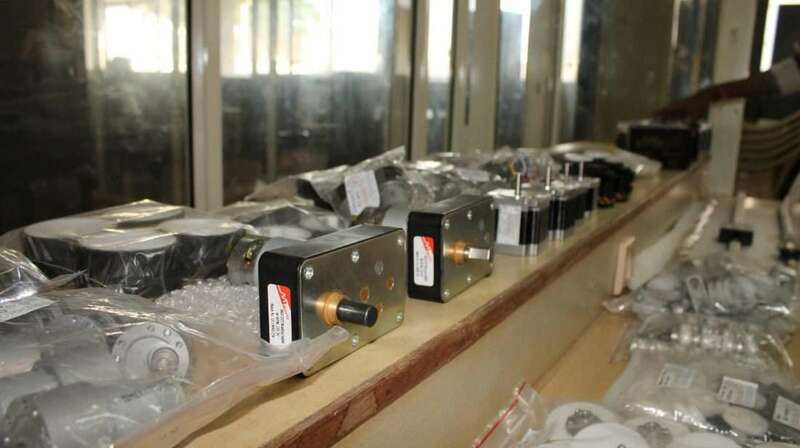 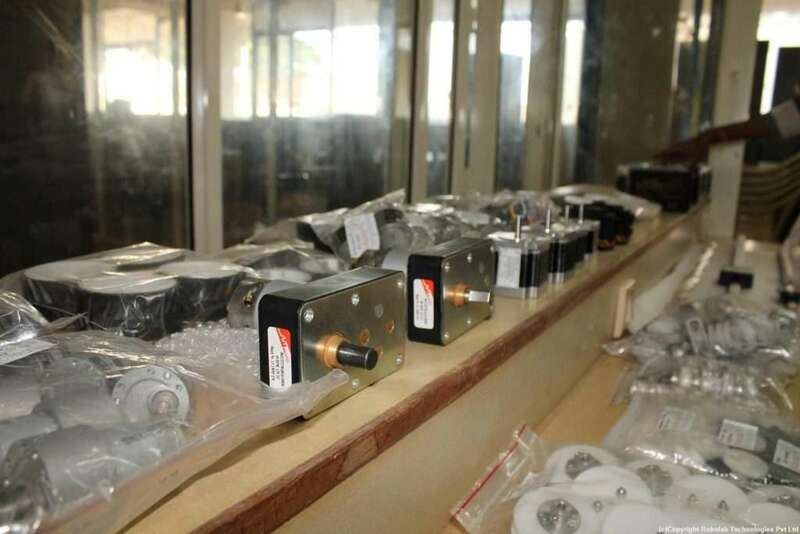 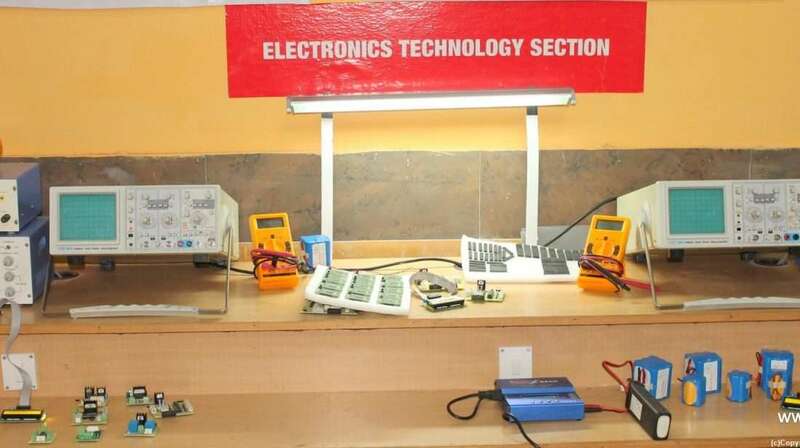 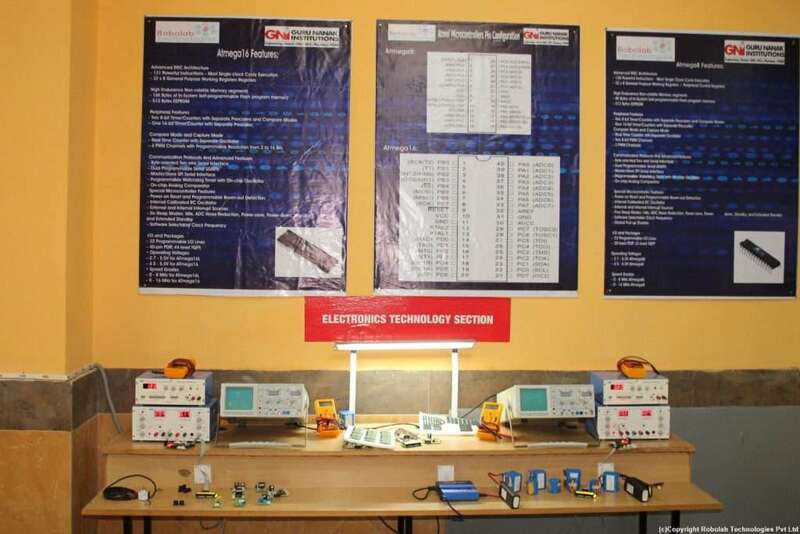 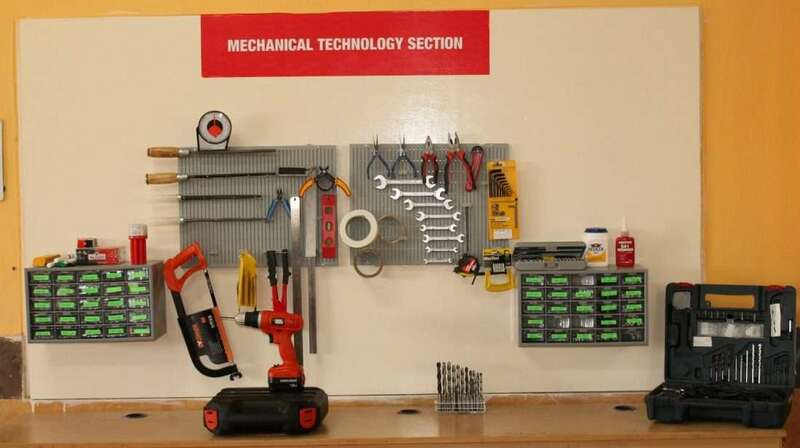 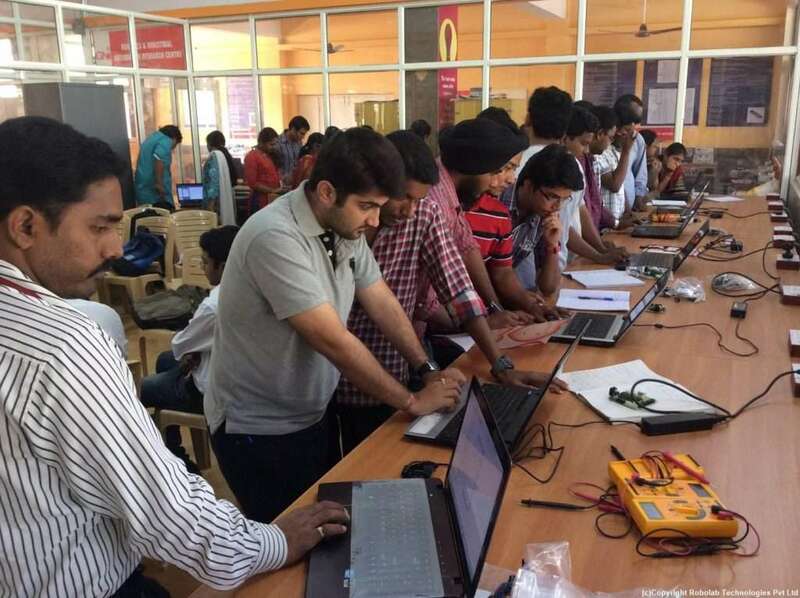 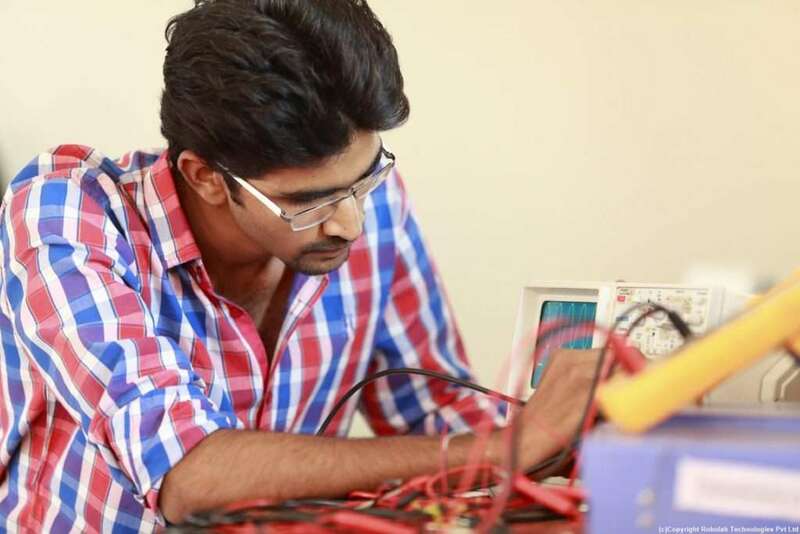 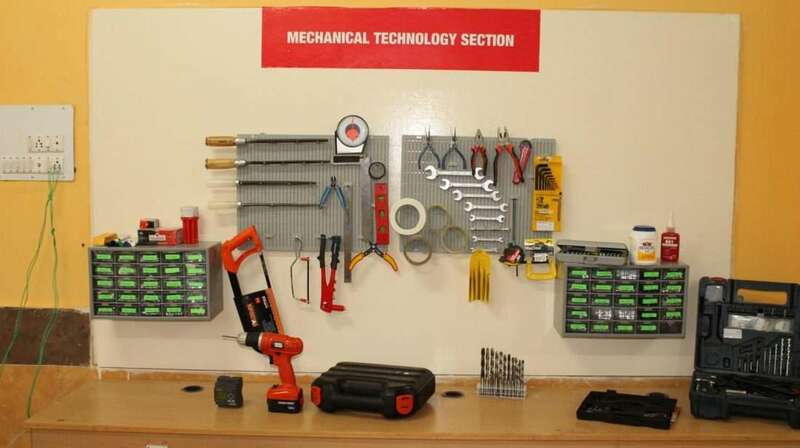 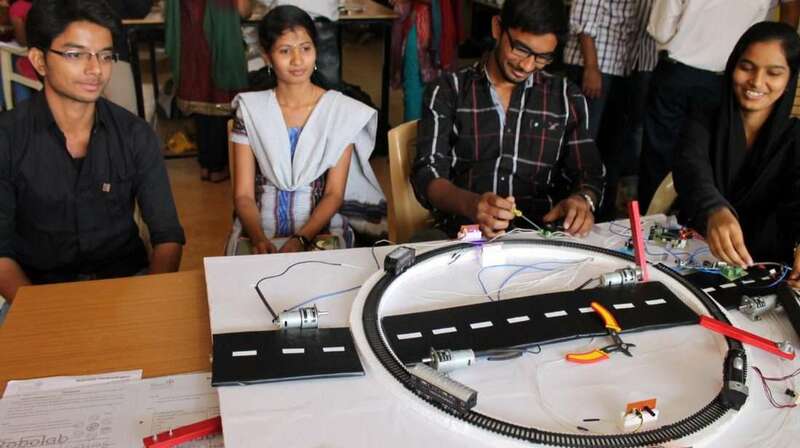 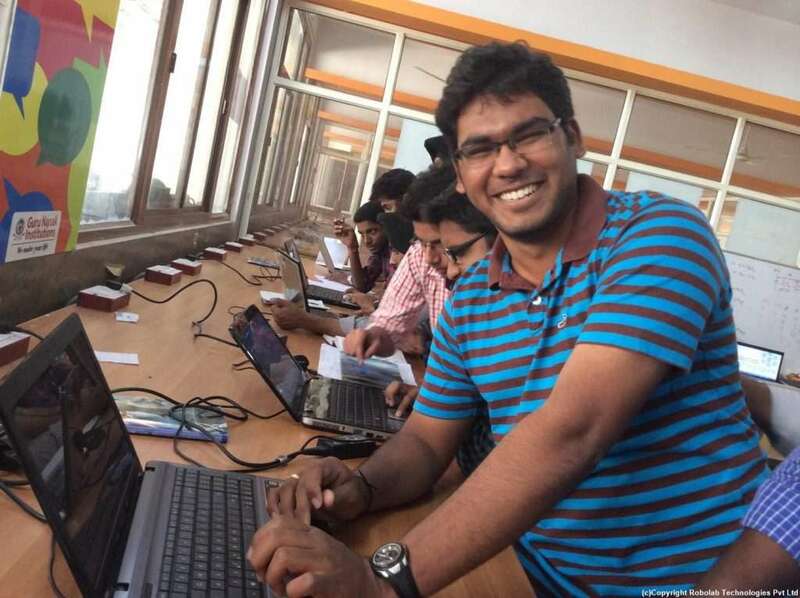 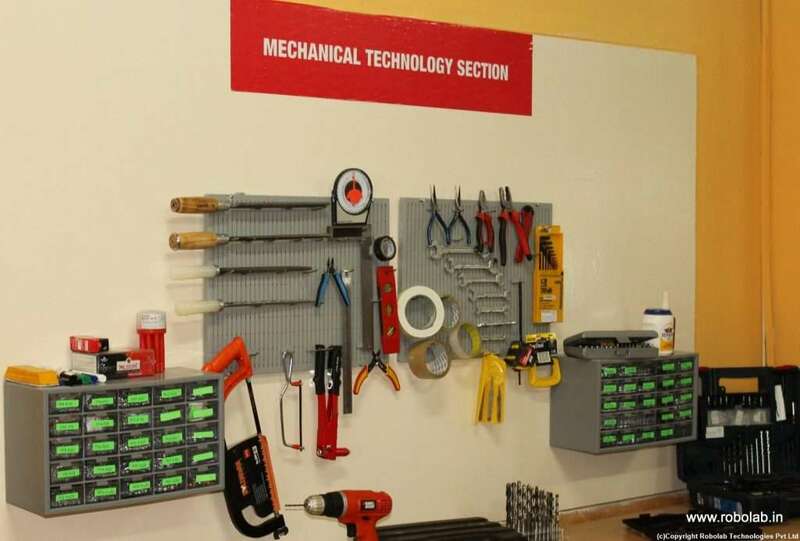 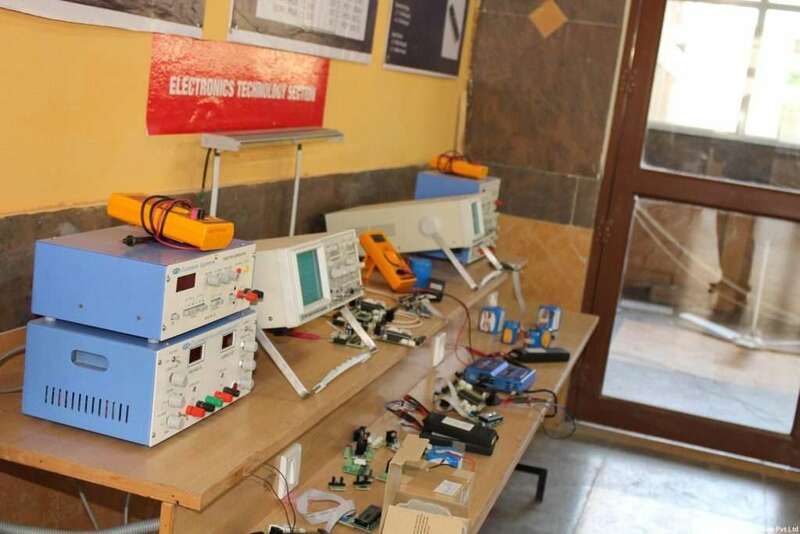 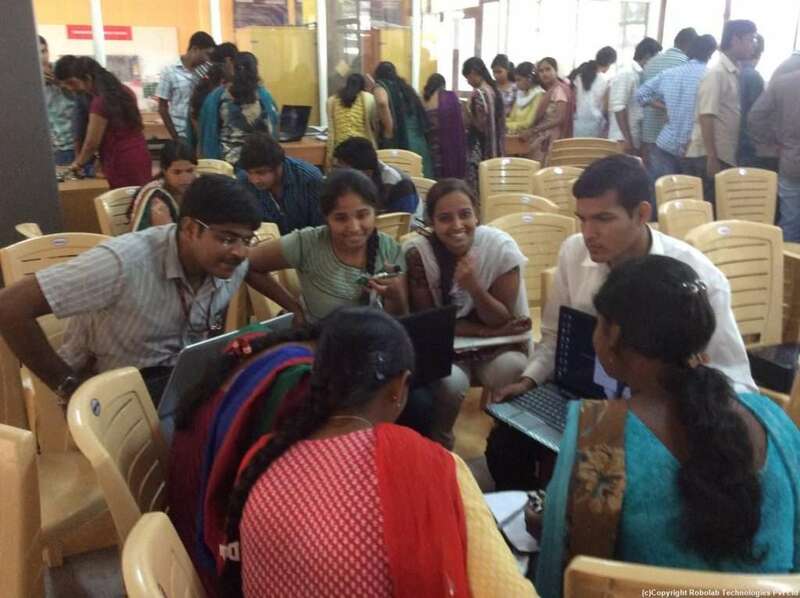 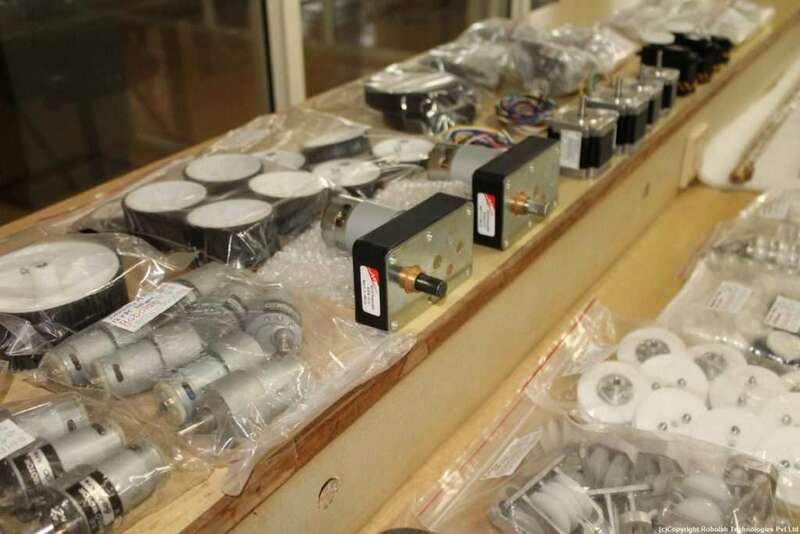 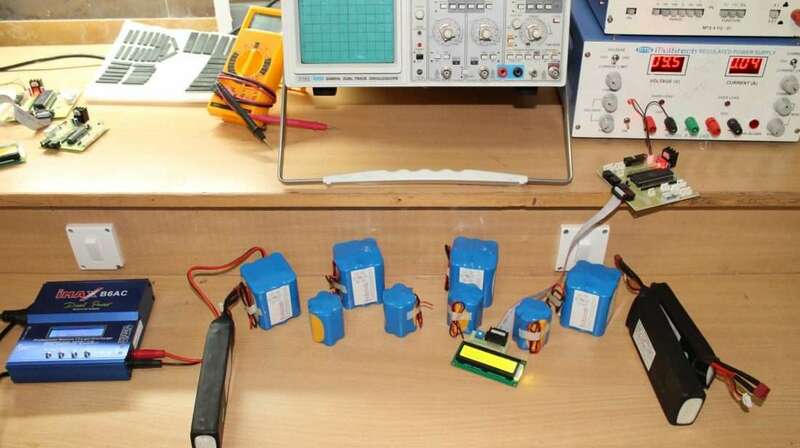 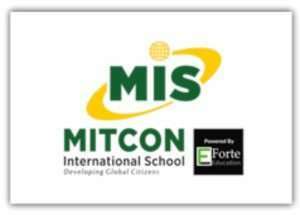 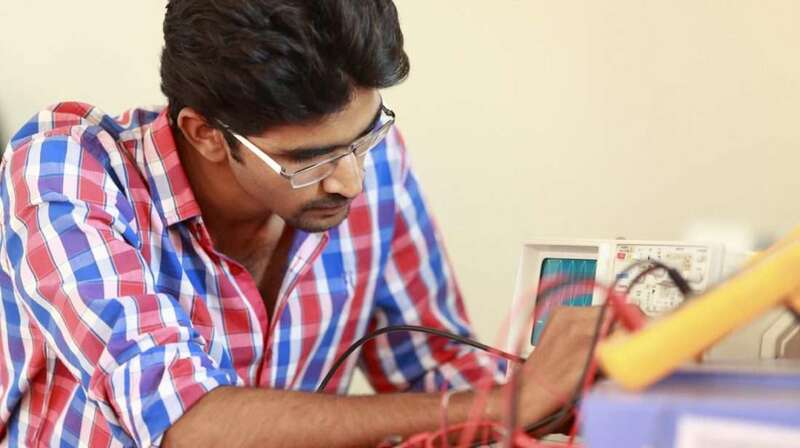 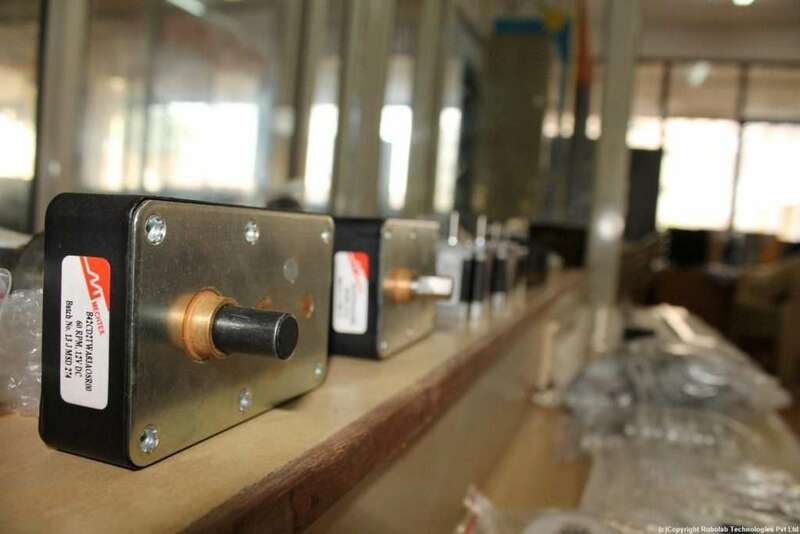 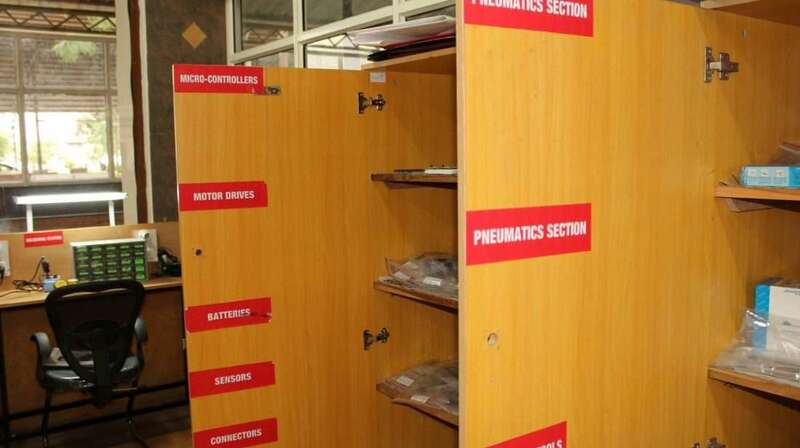 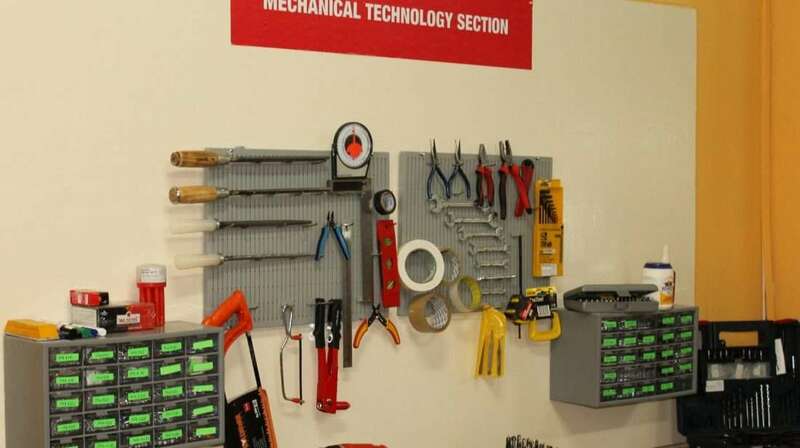 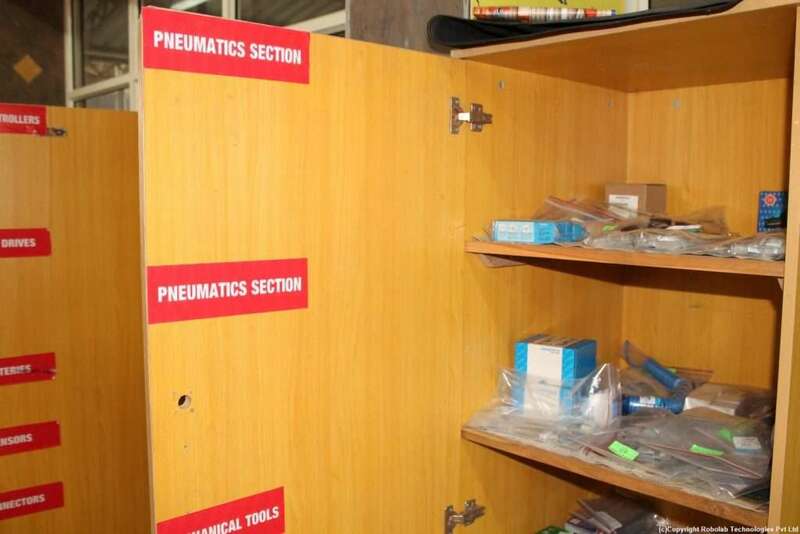 In the training, students enrolled from different Departments like Mechanical, Electronics Telecommunications, Electrical, Computer and IT Engineering. 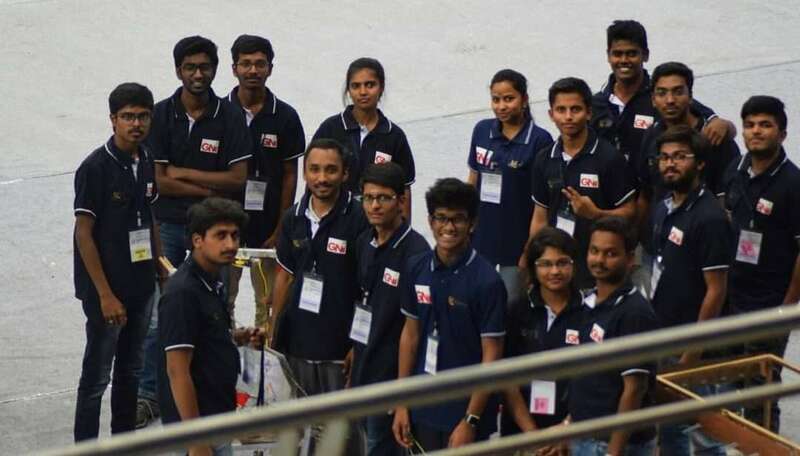 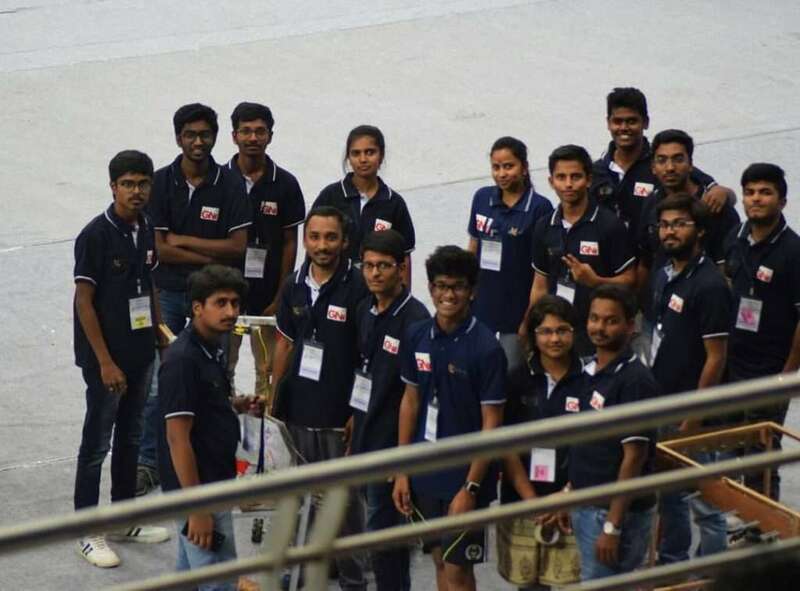 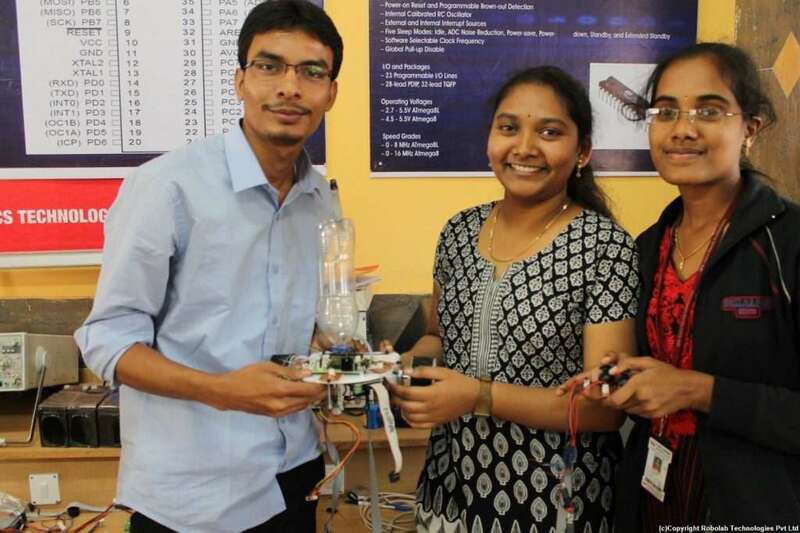 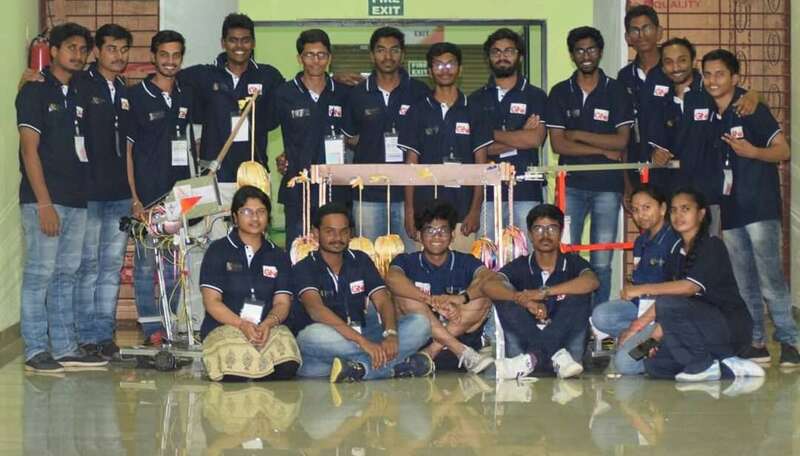 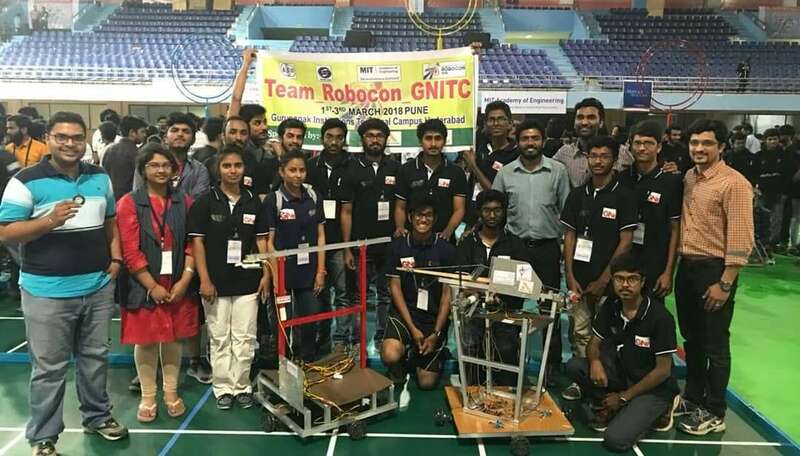 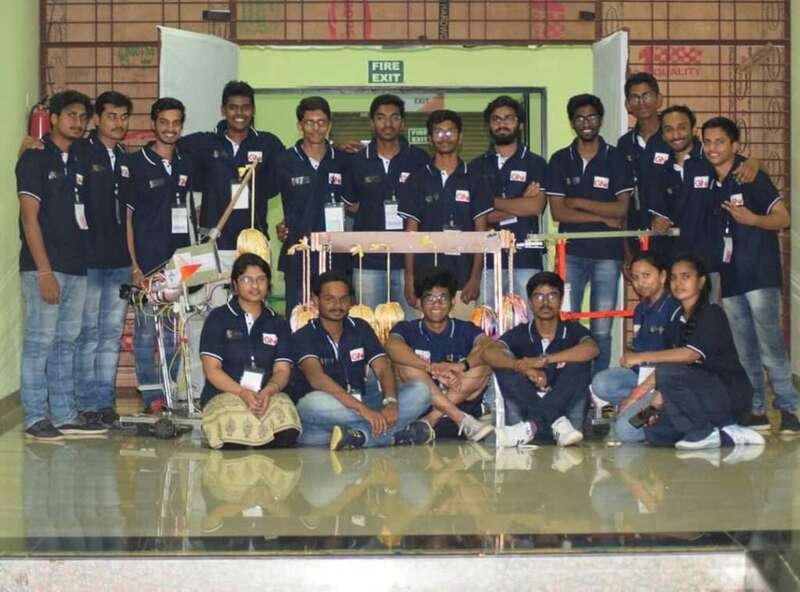 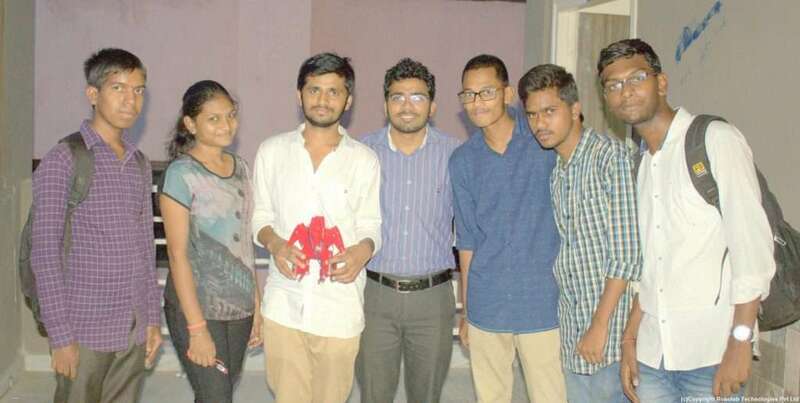 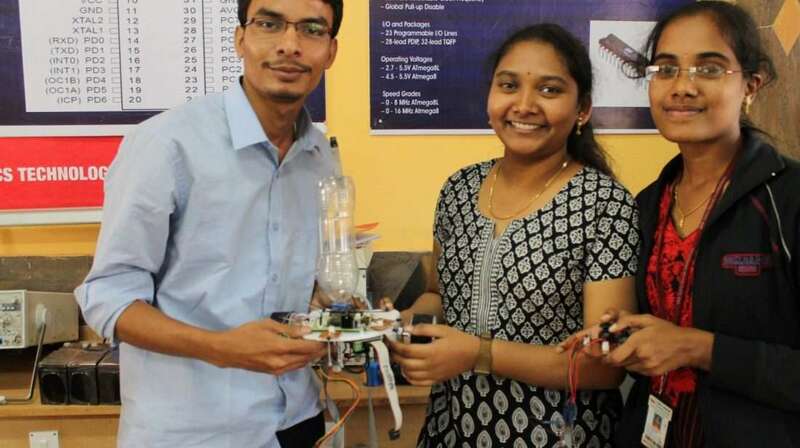 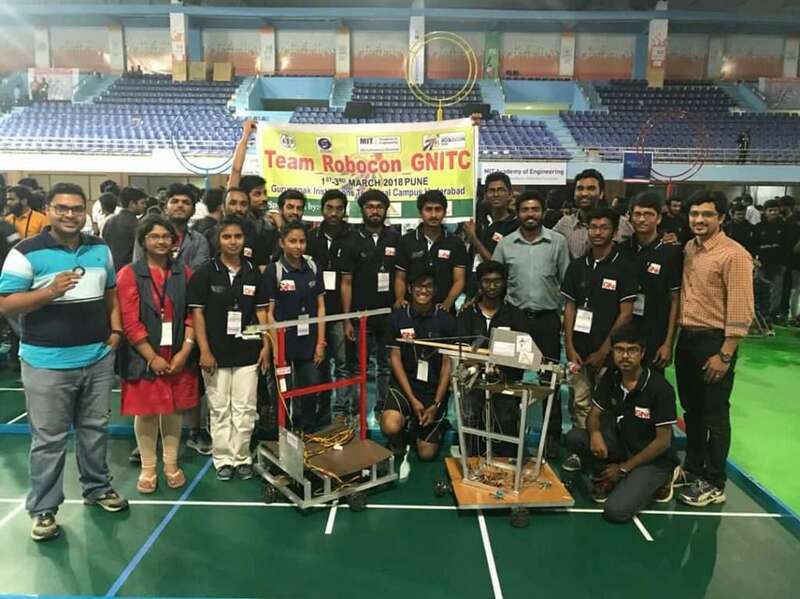 This year saw a refreshing start of major projects at GNI for a new batch of enthusiastic students who indulged in the robotics activity with whole heart. 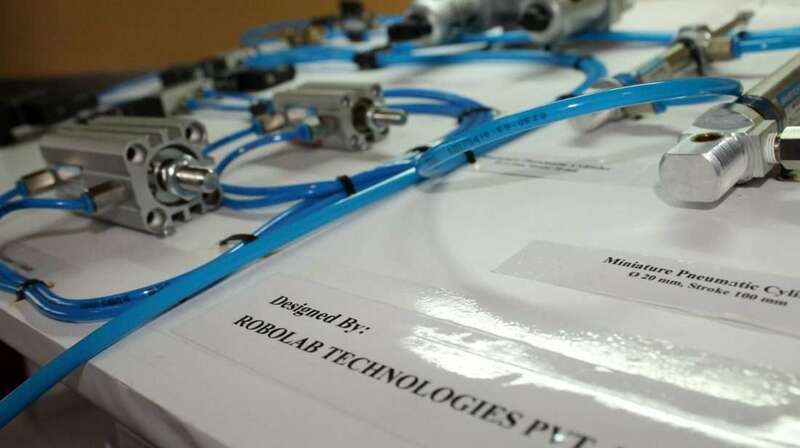 More than 100 students learnt and completed their major projects under the guidance of expert faculty from Robolab Technologies. 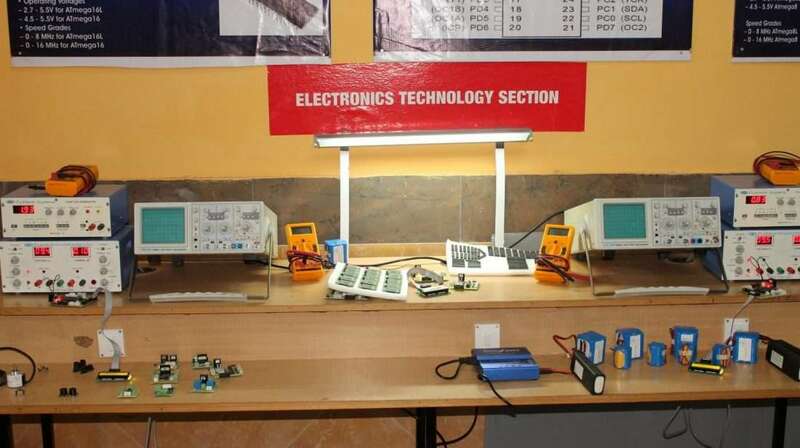 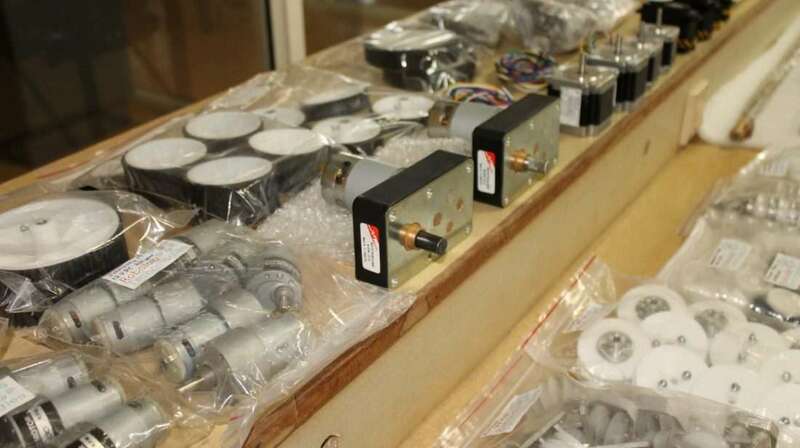 These projects had student enrollment from departments – mechanical, electronics, telecommunications, electrical, computer and IT. 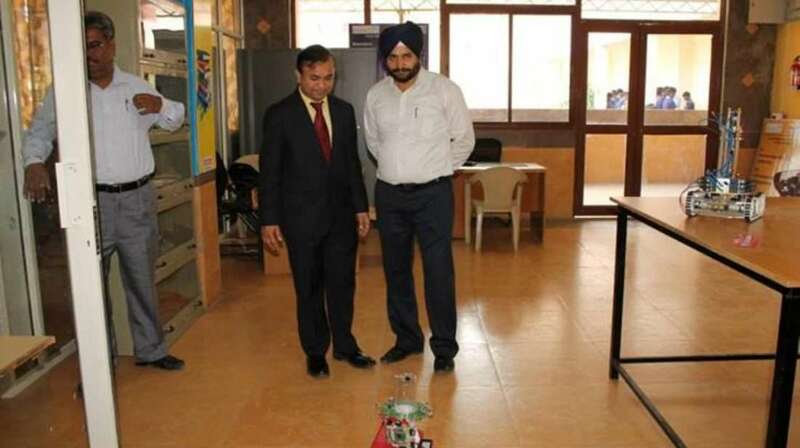 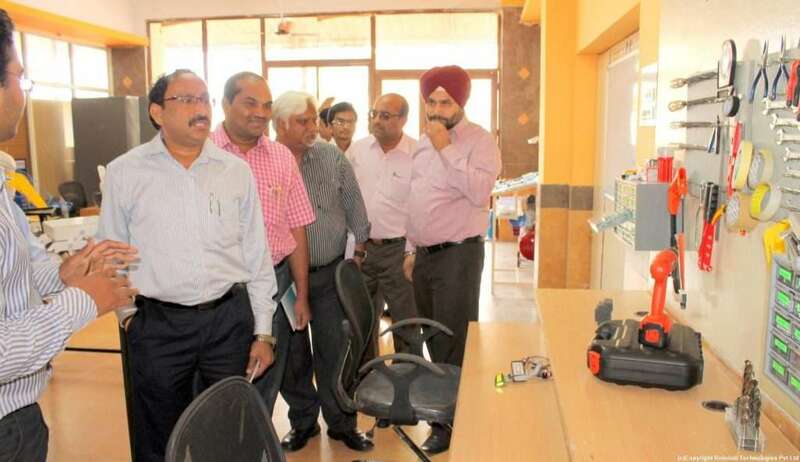 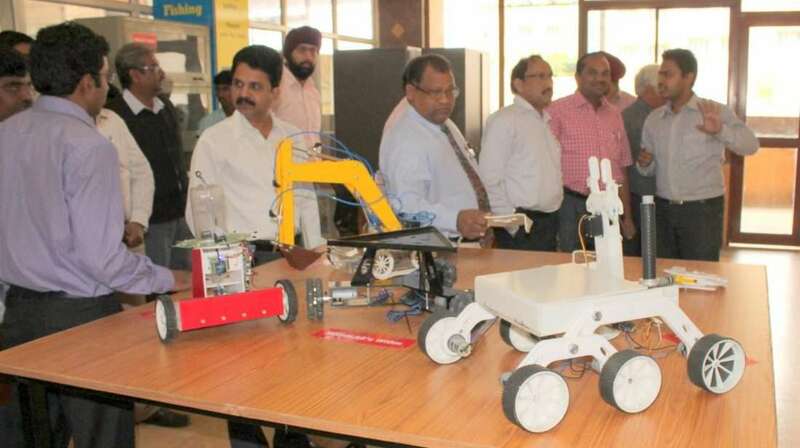 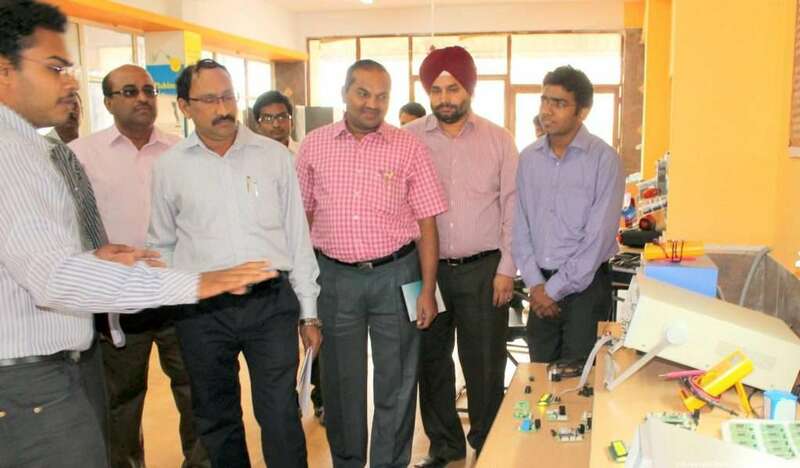 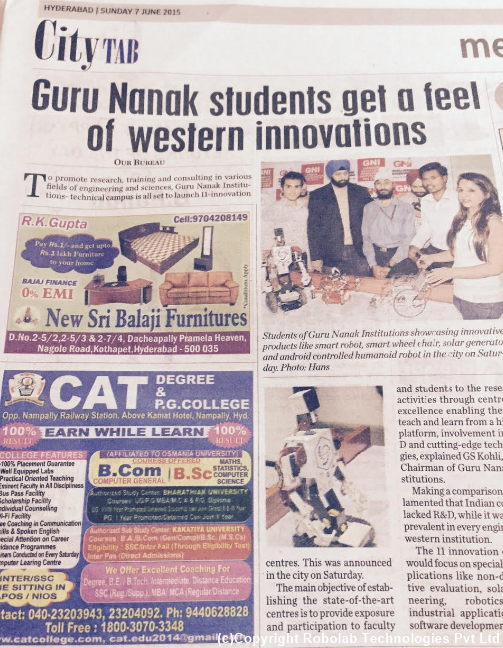 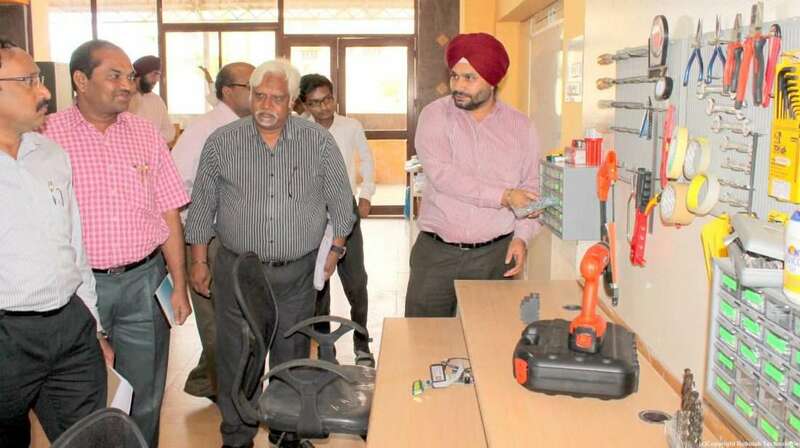 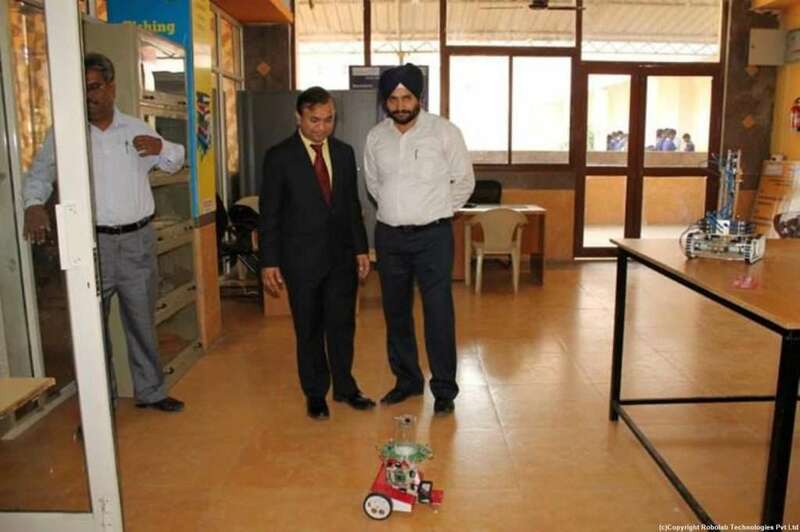 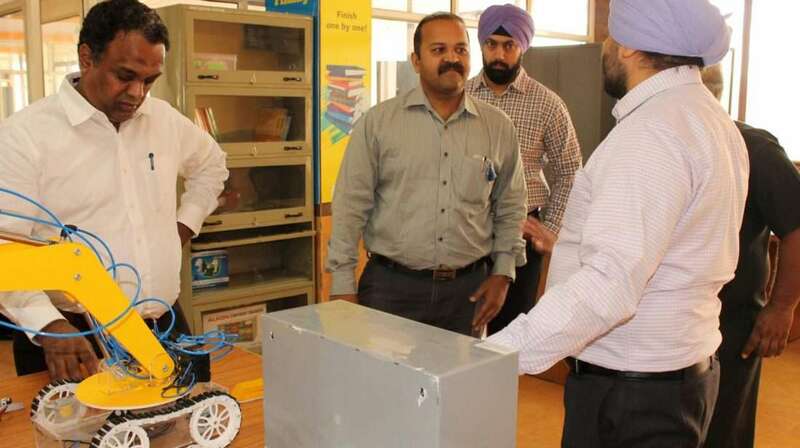 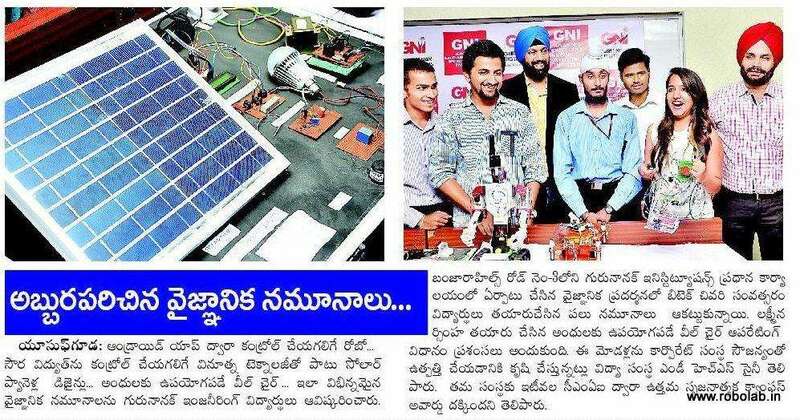 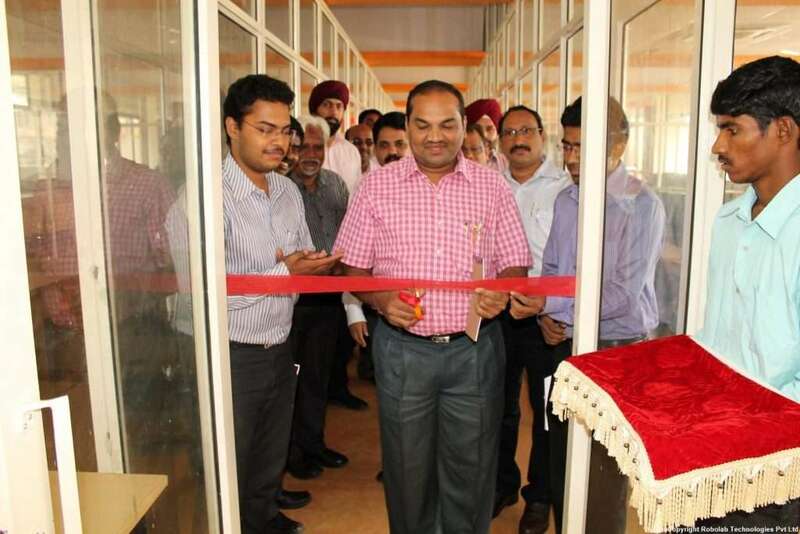 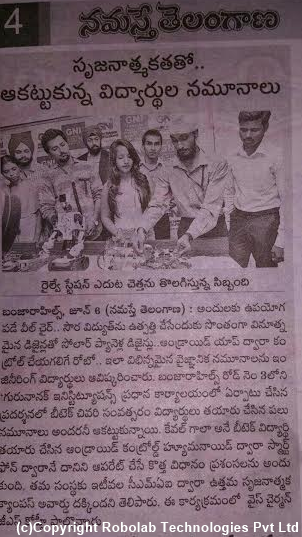 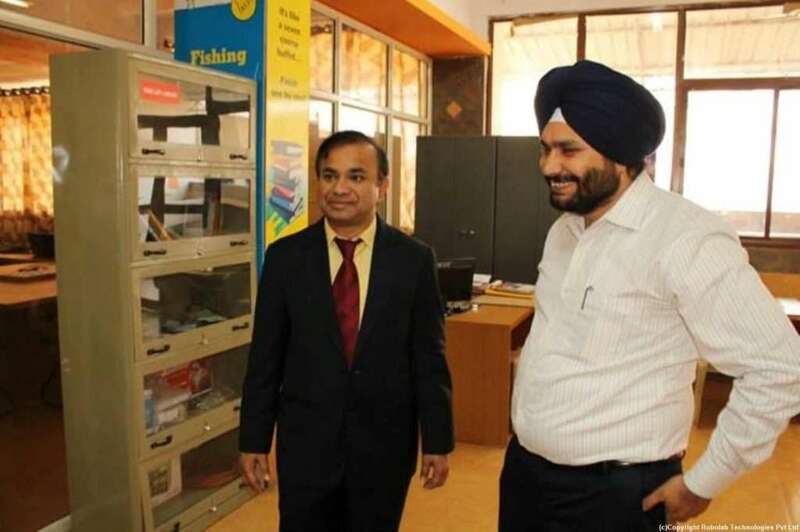 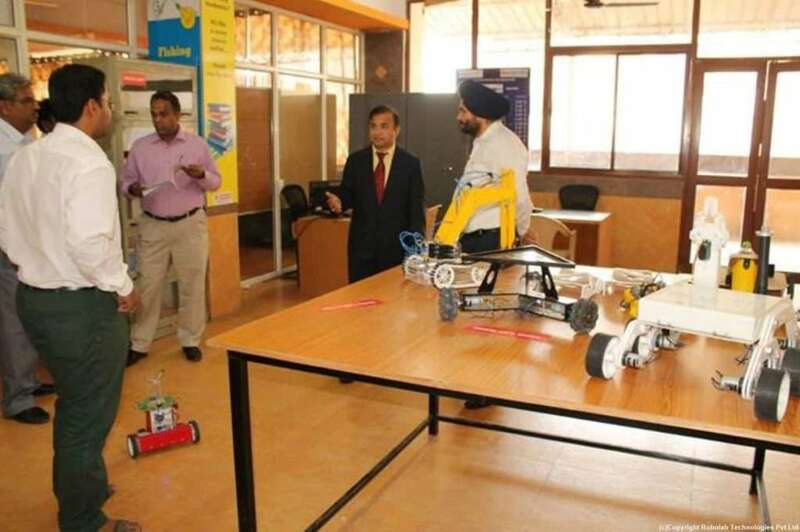 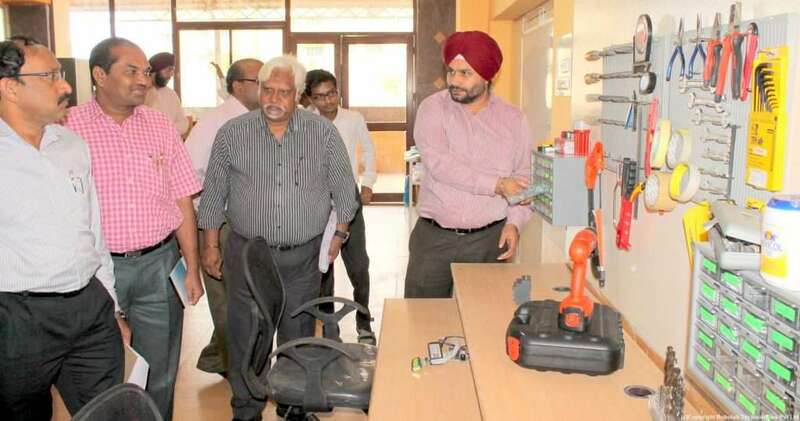 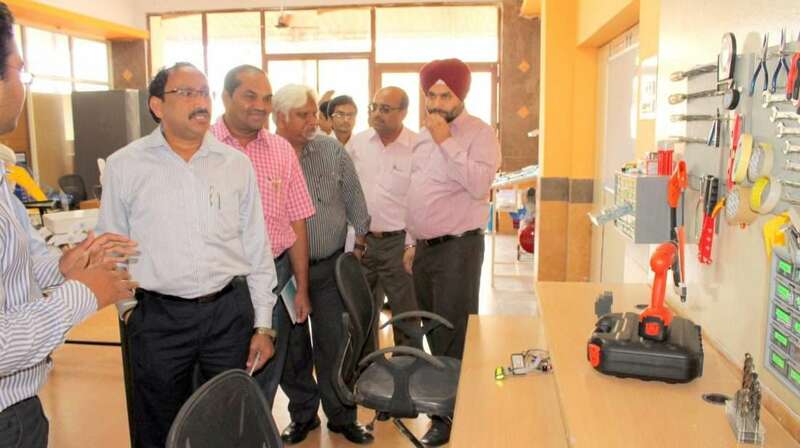 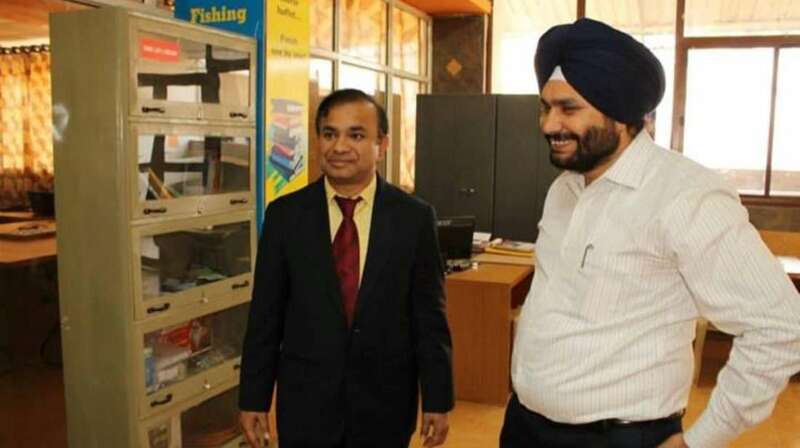 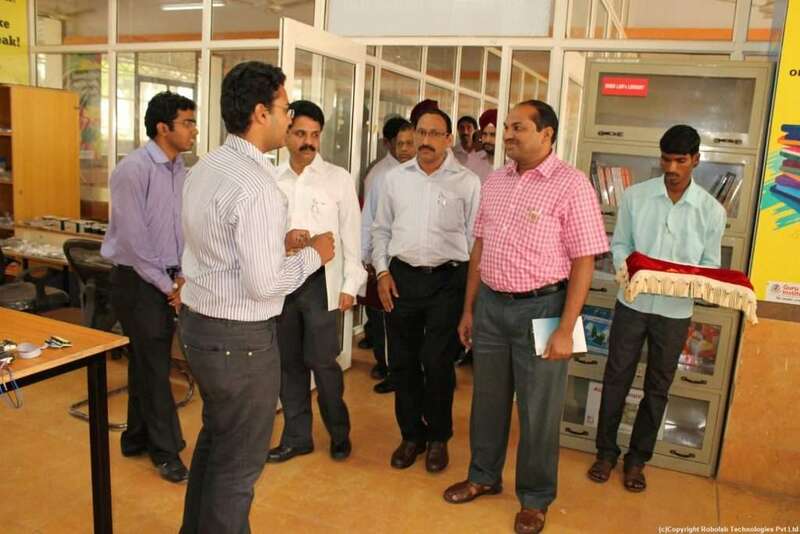 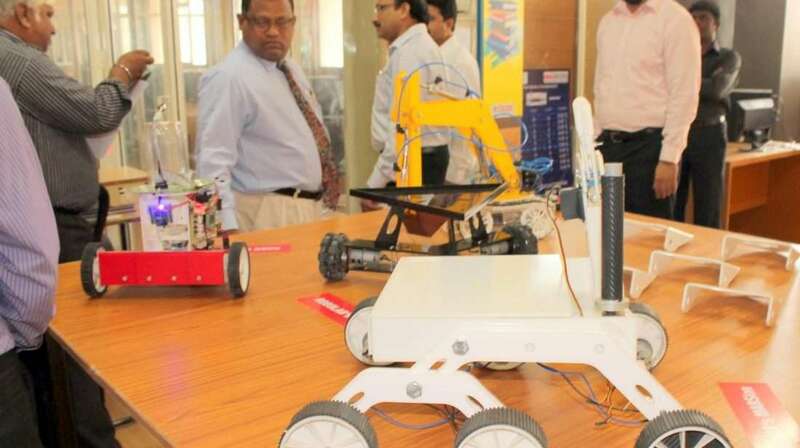 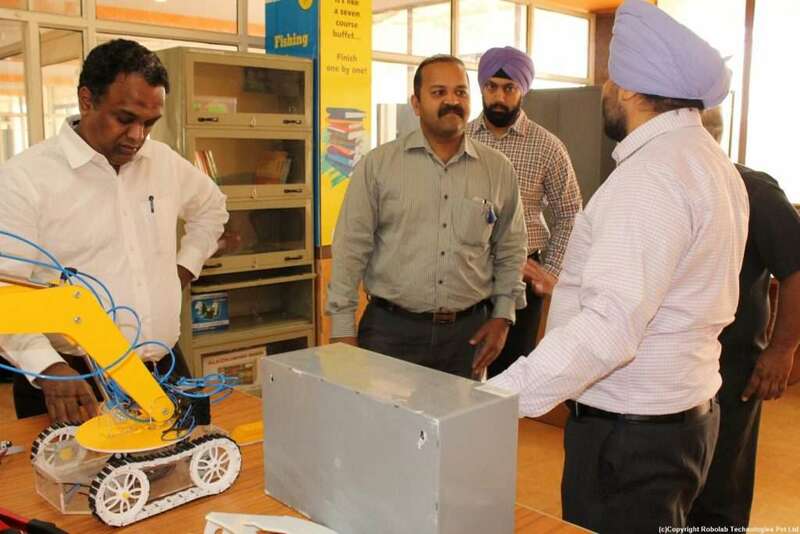 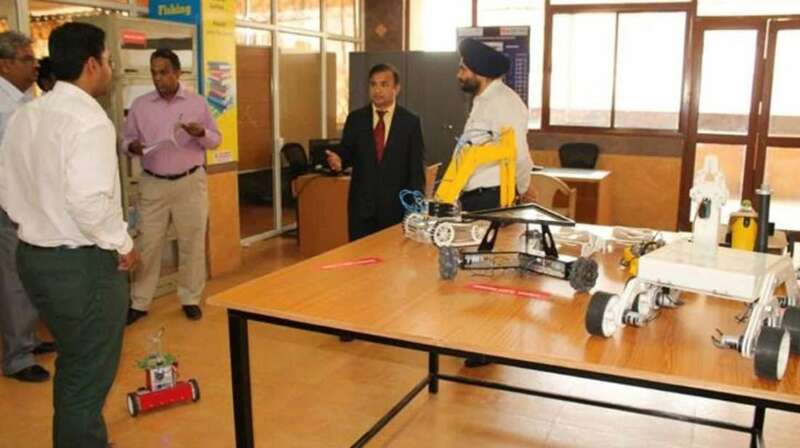 An innovation centre for Robotics & Industrial Automation Research “ROBOLAB” with Entrepreneurship Incubation cell was inaugurated at Guru Nanak Institutions, Hyderabad on 29/11/2013 at the hands of Dr. G. K. Viswanadh (Director Academics and Planning), Dr. A. Damodaram (Director SCDE), Dr. K. Eswara Prasad (Director of Evaluation) and Dr. Ch. 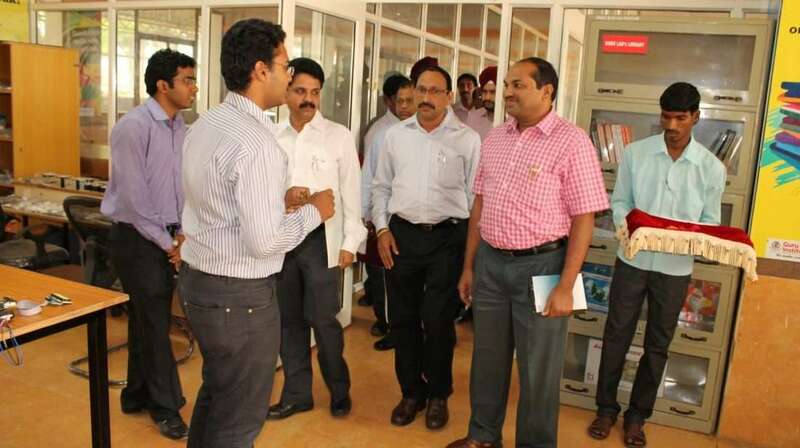 Venkata Ramana Reddy (Professor and Head Chemistry Department). 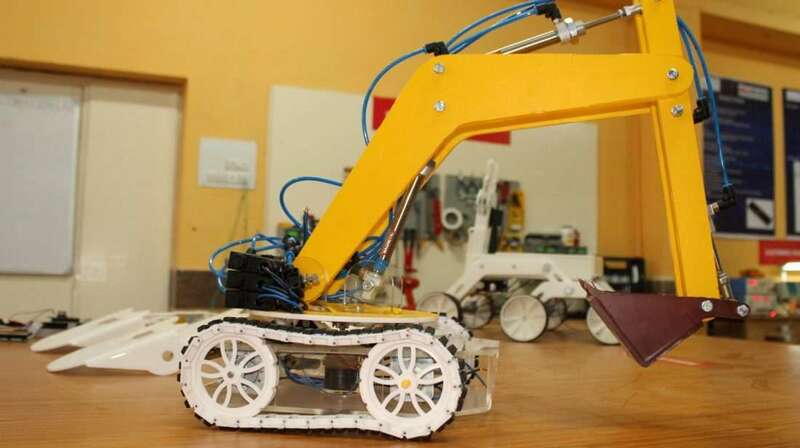 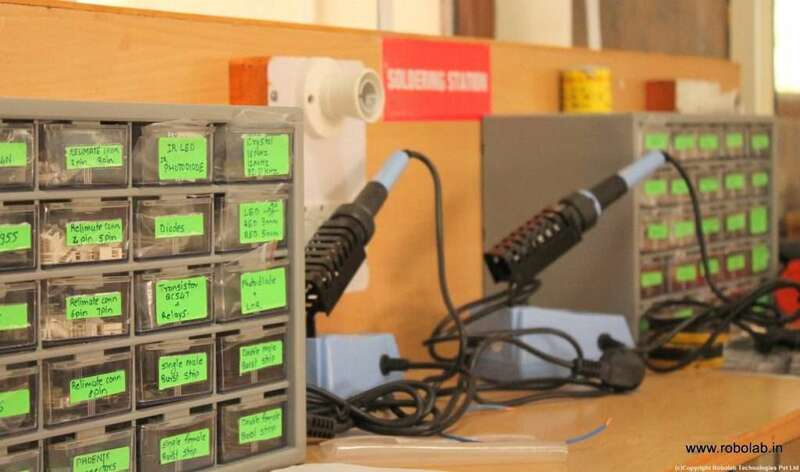 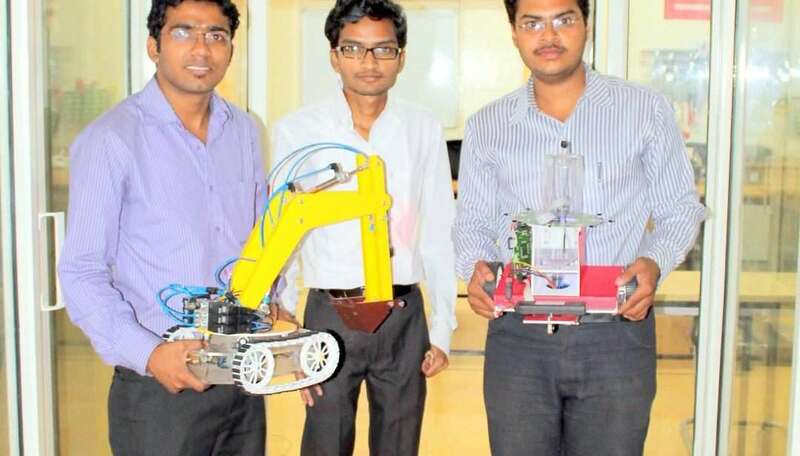 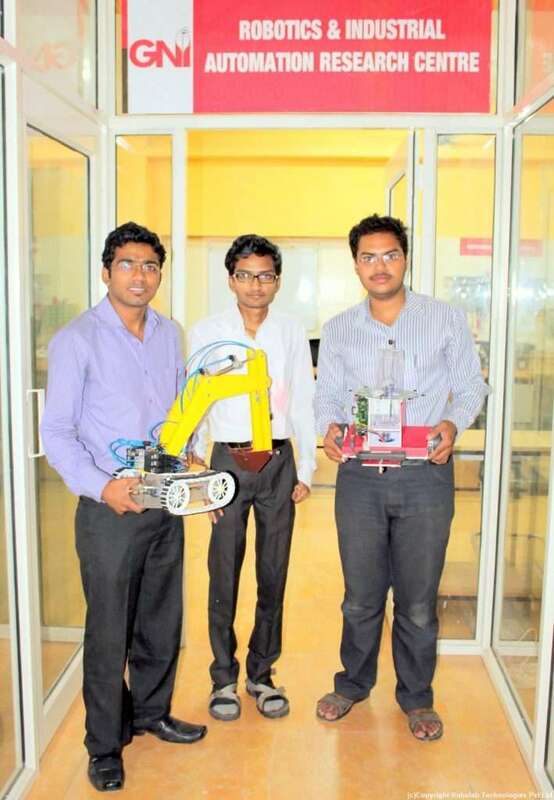 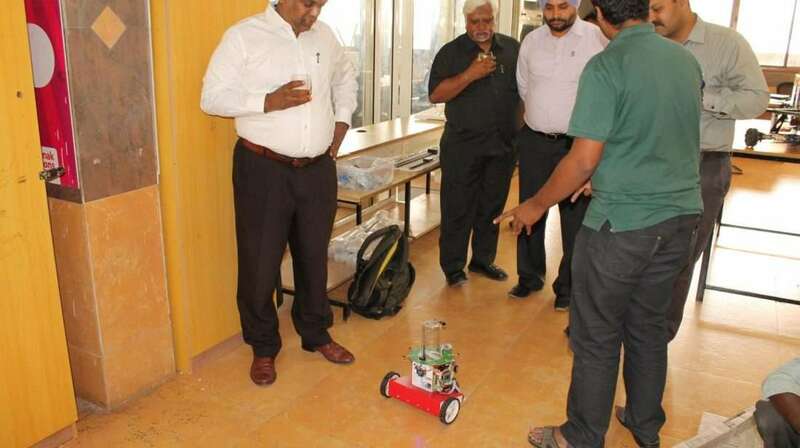 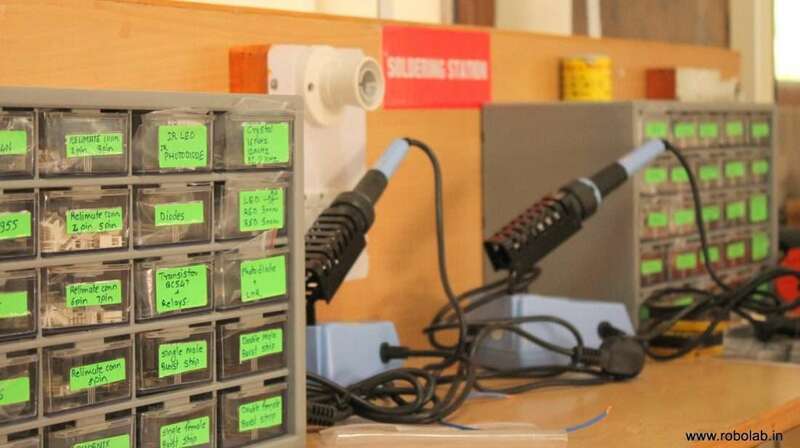 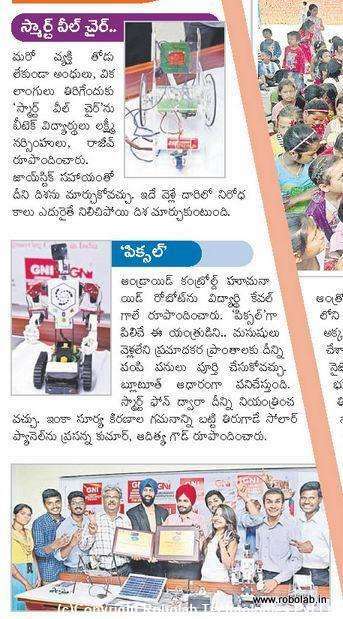 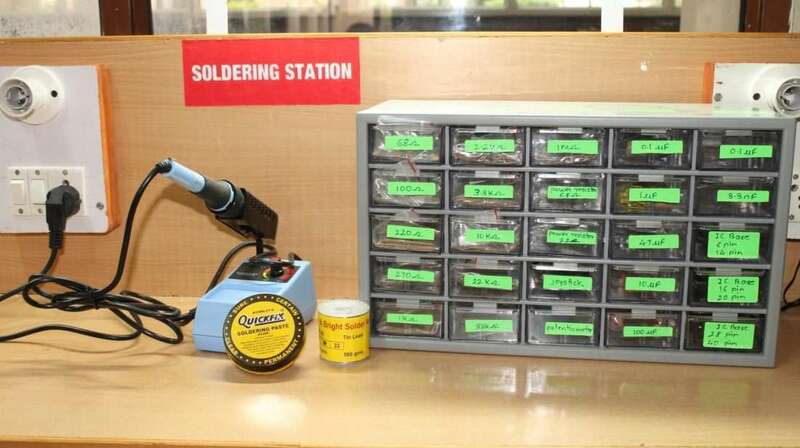 This is the first ROBOLAB established by our company in Hyderabad. 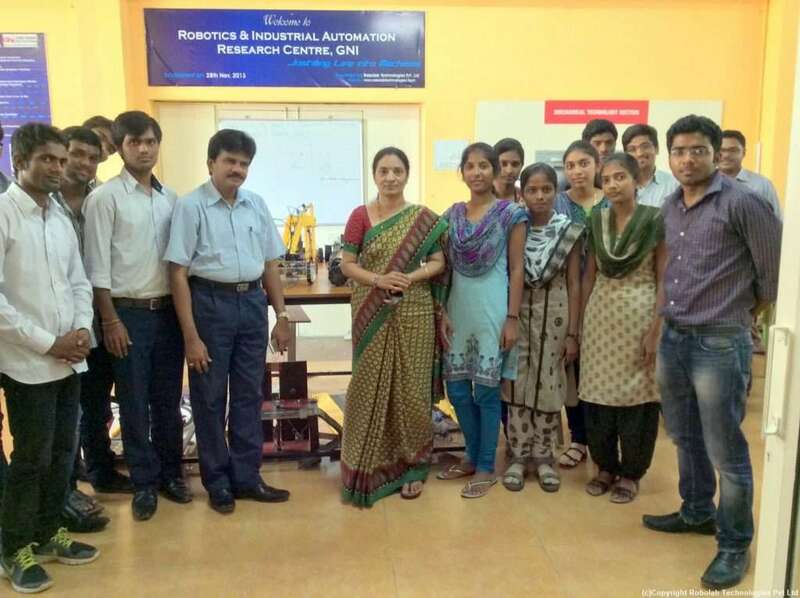 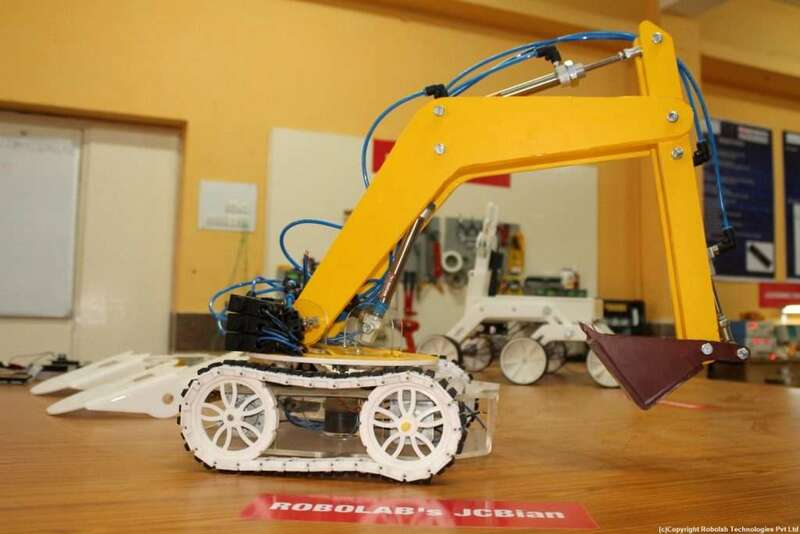 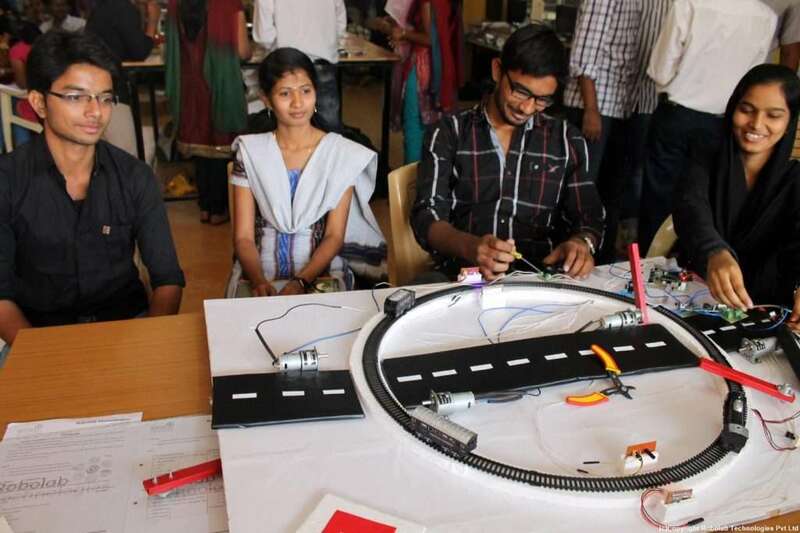 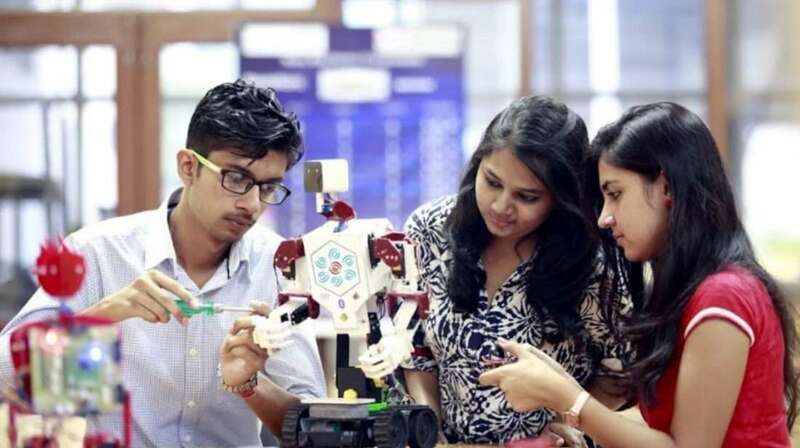 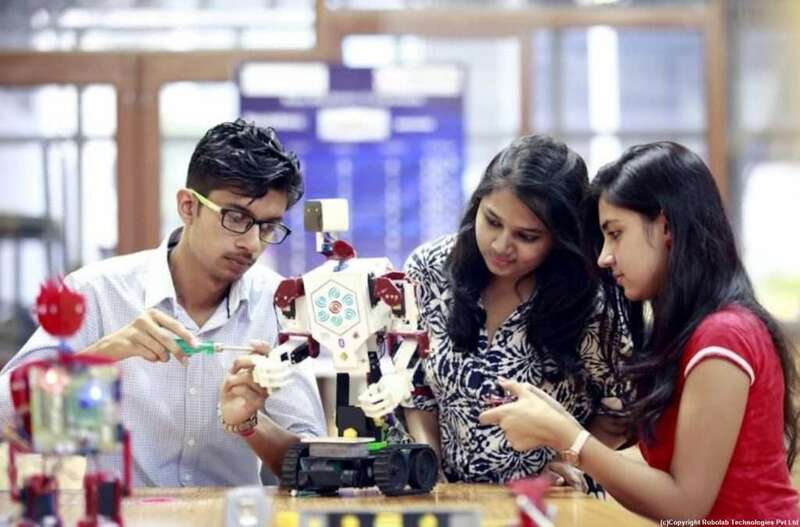 This Robolab is an active centre for inter-disciplinary activities for college students. 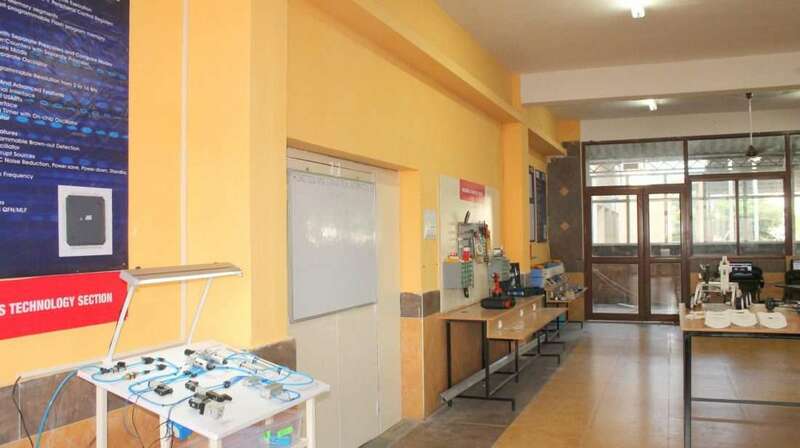 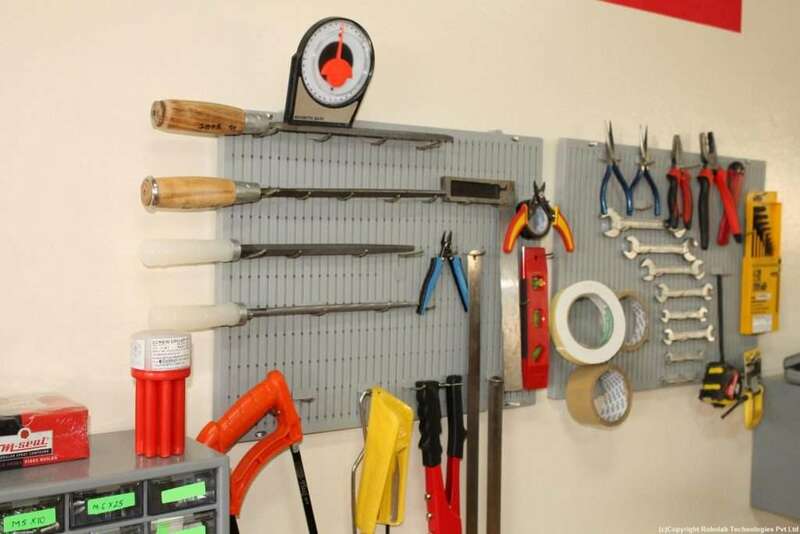 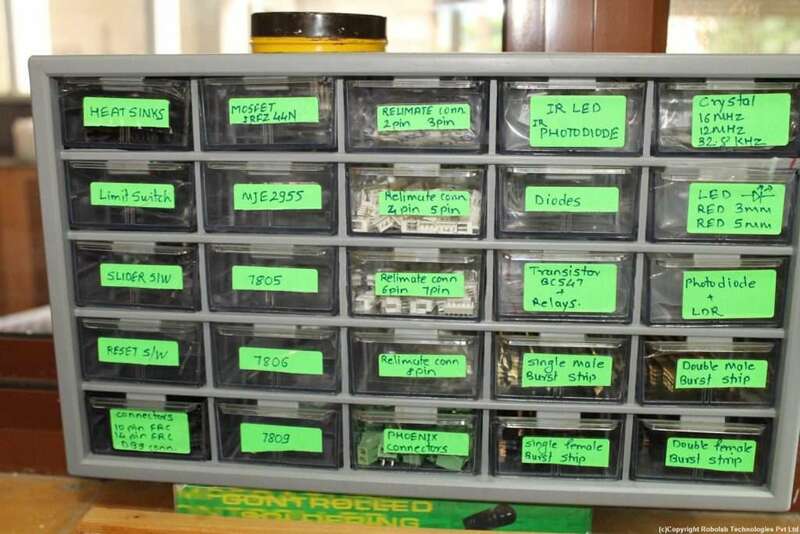 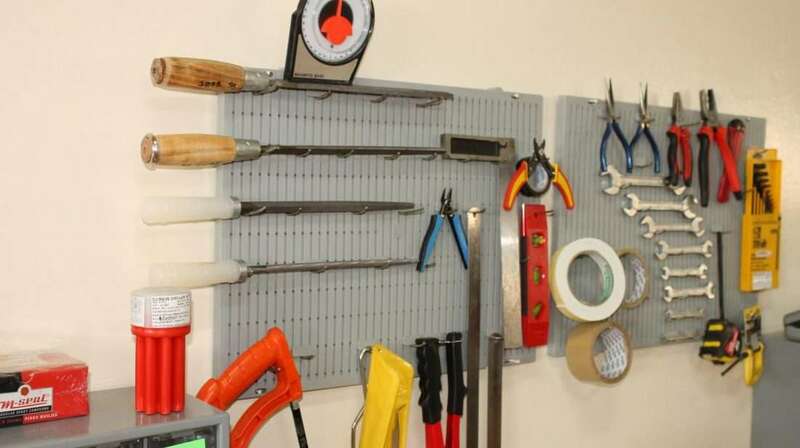 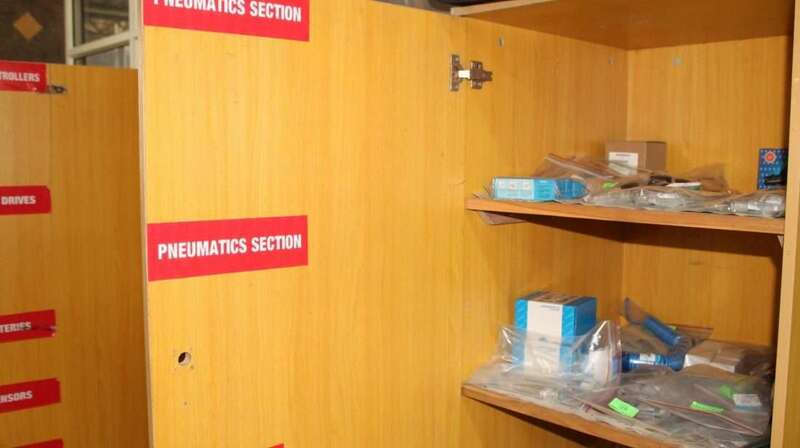 This lab presents a first class facility to carry on B. 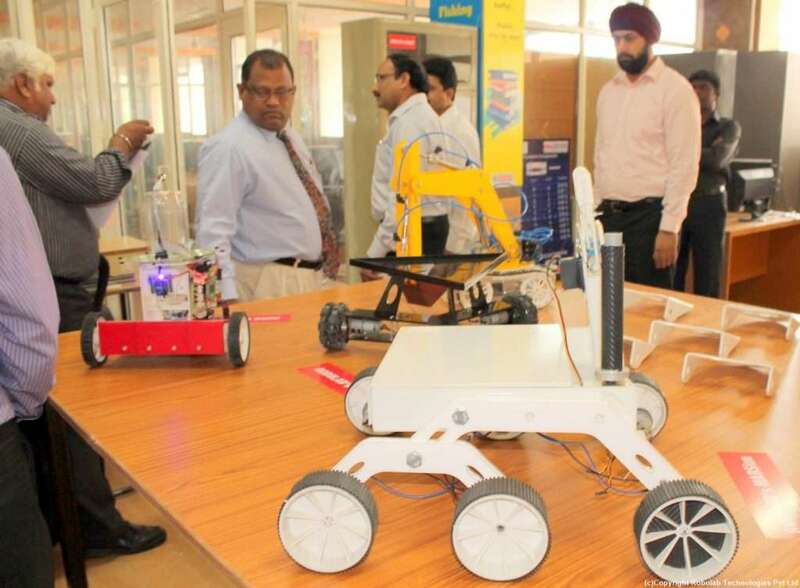 Tech and M. Tech student projects as well as faculty research projects. 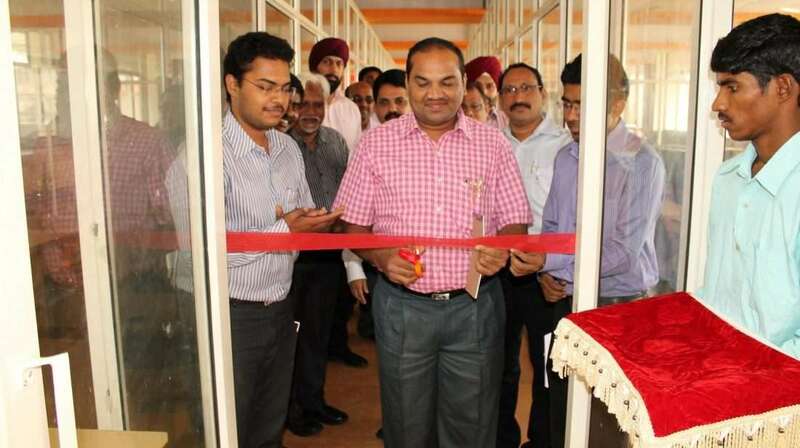 It is open to all laboratory, managed by the students under the resourceful guidance of lab in-charge Mr Sandeep Patil. 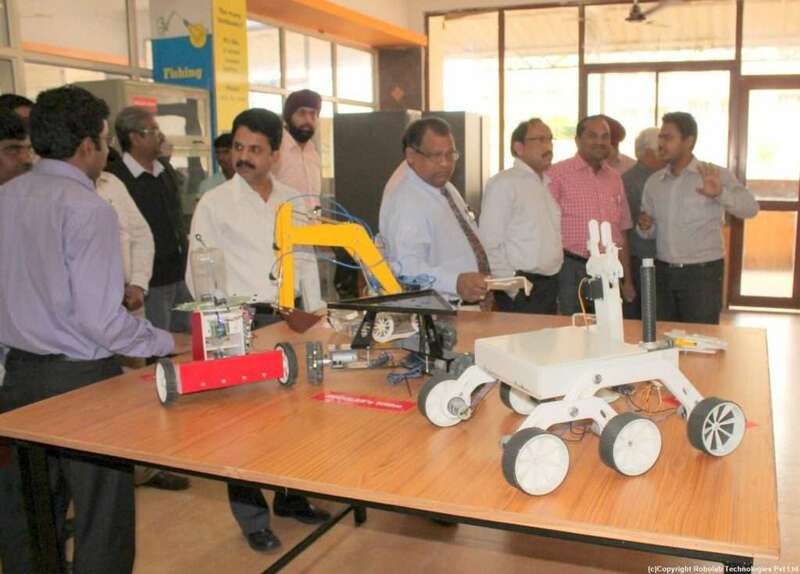 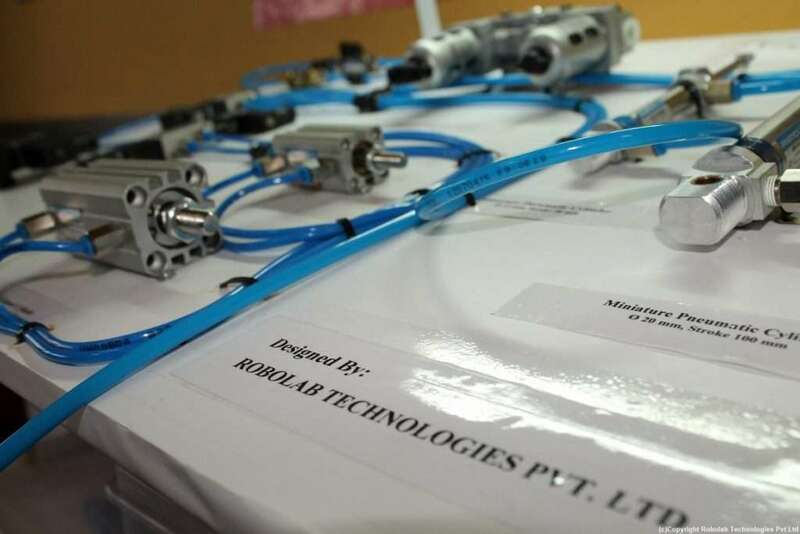 The Robolab at GNI makes available plethora of opportunities to gain and improve industry oriented practical technical knowledge. 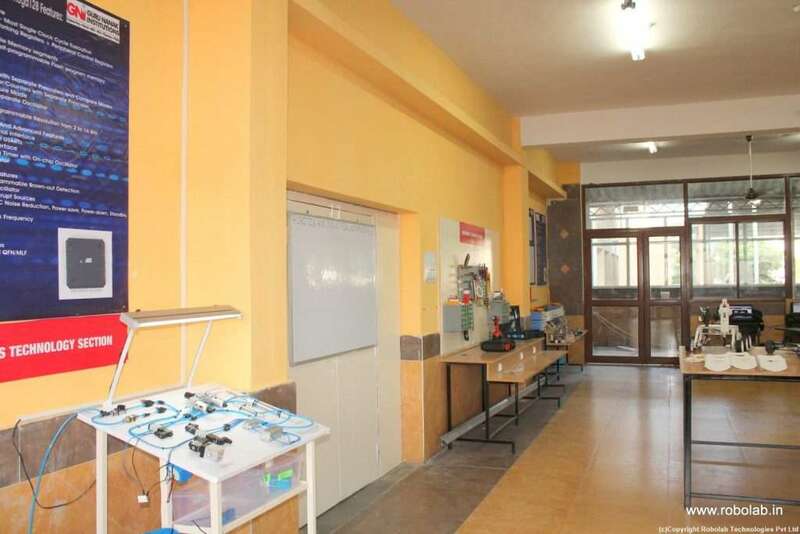 November 2016 marks completion of 2 years of this laboratory wherein we have taught more than 500 students till now for their mini and major projects. 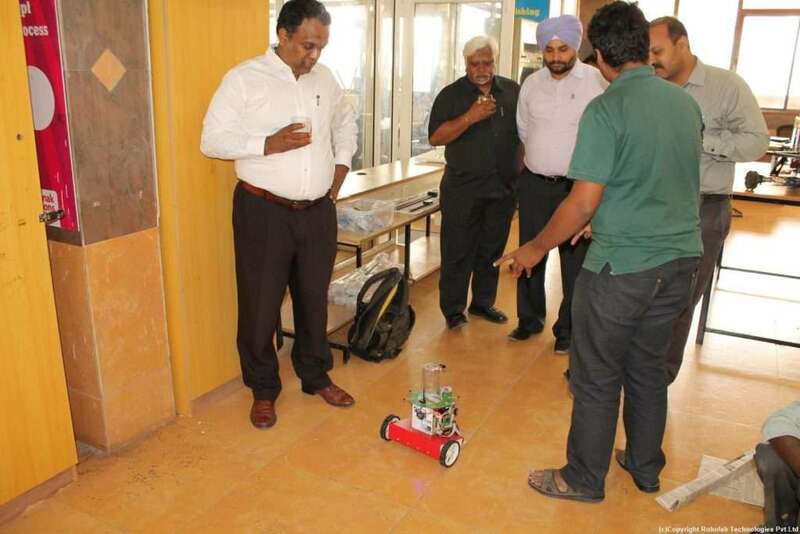 The students after robotics training are now proficient and growth oriented than earlier, which helps them in building confidence during campus placement sessions. 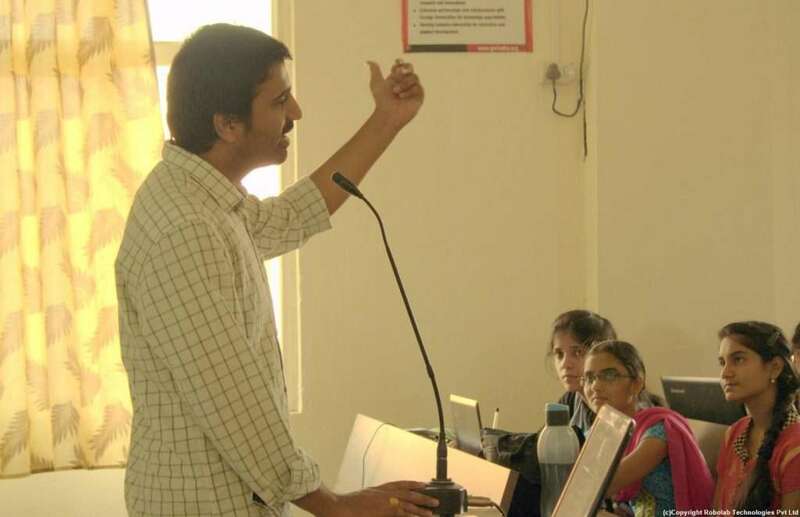 Numerous students have participated in paper & poster presentations in various conferences.